Greybrook’s first class team of professionals is our most valuable asset, bringing together the talent, skills and experience needed to create and manage the best development opportunities for our investors. Jordan is an Associate in Greybrook’s Asset Management group. He is responsible for supporting the team’s underwriting and project management functions to ensure the successful execution of Greybrook’s real estate investments. Jordan supports the team in conducting pre-transaction due diligence, including market research and financial analysis. Prior to joining Greybrook, Jordan was an associate in KPMG’s Corporate Finance group. During his time there, Jordan provided merger, acquisition, divestiture, and debt advisory services for mid-market clients across a variety of industries. Previously, Jordan worked for PwC, conducting financial statement audits for public real estate companies. 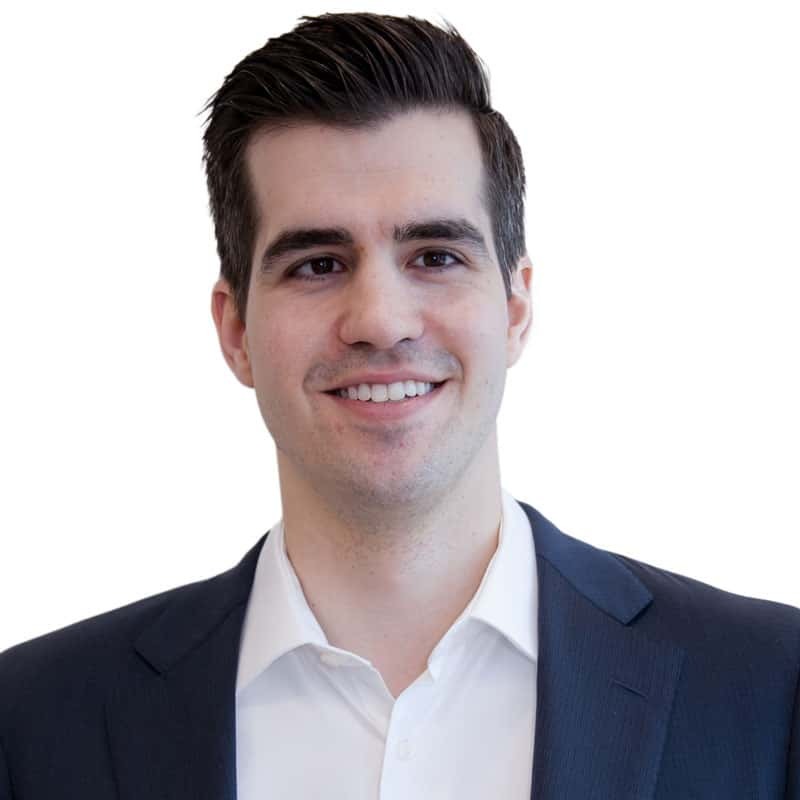 Jordan holds a Bachelor of Mathematics from the University of Waterloo, a Bachelor of Business from Wilfrid Laurier University, is a Chartered Professional Accountant, and is a CFA® charterholder. Daniel is an Associate in Greybrook’s Private Capital Markets group. He is responsible for supporting sales-related activities associated with some of Greybrook’s key channel partners, including building and managing relationships with investors. Daniel brings over eight years of experience in the financial services industry to this role. Prior to joining Greybrook, Daniel worked as an advisor for CIBC’s Imperial Service platform and was responsible for managing client portfolios, with a total aggregate value of over $60 million. Daniel graduated from the University of Western Ontario, majoring in Political Science. Since graduating, Daniel has achieved several financial certifications, including the CIM® designation. 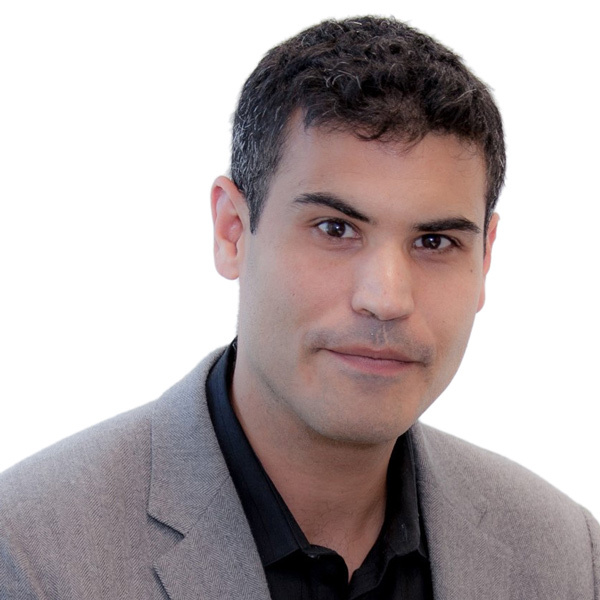 Daniel is a registered dealing representative of Greybrook Securities Inc., an exempt market dealer (registered in Ontario and certain other provinces), related to Greybrook Realty Partners. Brandon is an Analyst in Greybrook’s Asset Management group. He is responsible for supporting the team’s underwriting and project management functions to ensure the successful execution of Greybrook’s real estate investments. Brandon supports the team in conducting pre-transaction due diligence, including market research and financial analysis. In addition, he works with senior management and various groups within the company on internal business initiatives. Prior to joining Greybrook, Brandon held positions at a global brokerage firm, responsible for providing high-touch stock execution services. Brandon holds a Bachelor of Arts degree in Political Science and Government from The University of Western Ontario. John is a Vice President in Greybrook’s Asset Management group with five years of experience in real estate development and acquisitions, and a background in urban planning. He is responsible for overseeing and co-managing active projects within Greybrook’s real estate investment portfolio. He works directly with all project stakeholders to ensure the successful execution of Greybrook’s real estate projects. John also supports the team in conducting all pre-transaction due diligence, including financial analysis and risk assessment throughout the underwriting process. Prior to joining Greybrook, John was a Development Manager with The Minto Group, managing all aspects of several high-rise and urban infill projects, including a 1,200 unit three-tower condo development and a two-tower infill rental project. Previously John worked for Revera Inc., a leading international seniors housing owner and operator, underwriting development projects and acquisitions. John holds a Bachelor of Arts degree from McGill University and a Master of Planning degree from Queen’s University, including a term at the Australian Urban Design Research Centre at The University of Western Australia. John is also a CFA Level III Candidate. Jason is a Vice President in Greybrook’s Private Capital Markets group with over 15 years of experience in financial services and private equity. He is responsible for engaging and managing new and existing investor relationships and creating strong real estate development portfolios that align with our client’s investment objectives. Prior to joining Greybrook, Jason held successively senior positions at a boutique investment bank offering real estate investments where he developed a strong network of accredited investors seeking high-quality investment opportunities. Jason holds a Bachelor of Commerce degree from the University of South Africa (UNISA). Jason is a registered dealing representative of Greybrook Securities Inc., an exempt market dealer (registered in Ontario and certain other provinces), related to Greybrook Realty Partners. Ryan is an associate in Greybrook’s Private Capital Markets group with over five years of experience in financial services. He works with the East Asia Group and is responsible for engaging and managing new and existing investor relationships and creating strong real estate development portfolios that align with our client’s investment objectives. 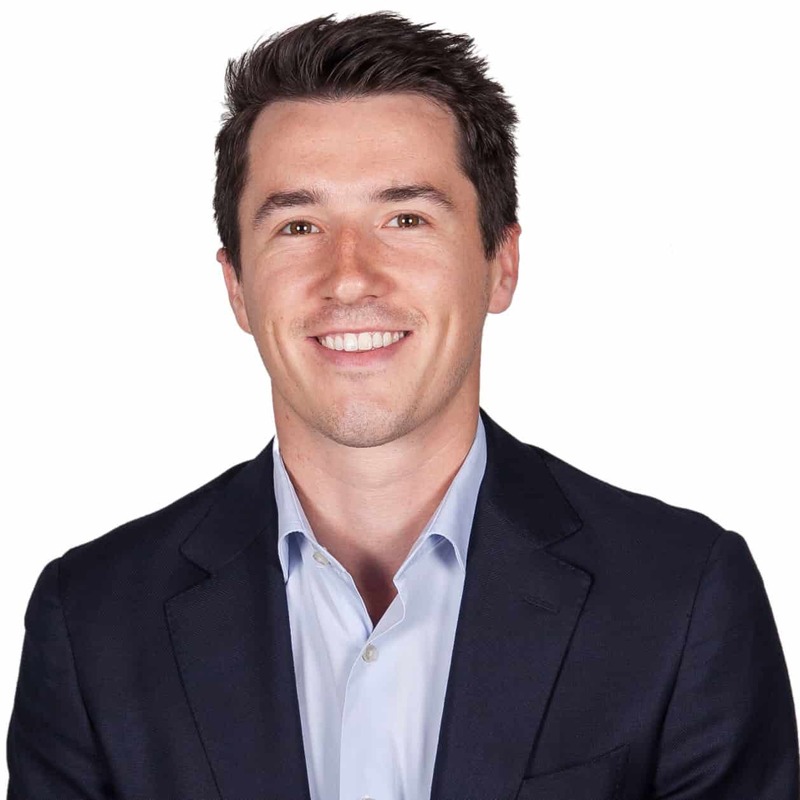 Prior to joining Greybrook, Ryan worked in Private Investment Management at a multinational investment bank performing key roles in investment management for high net worth investors. Ryan holds a Bachelor of Business Administration with a specialization in accounting from York University, and is a CIM® charterholder. Ryan is a registered dealing representative of Greybrook Securities Inc., an exempt market dealer (registered in Ontario and certain other provinces), related to Greybrook Realty Partners. Jessie is a Manager in Greybrook’s Investor Services group. 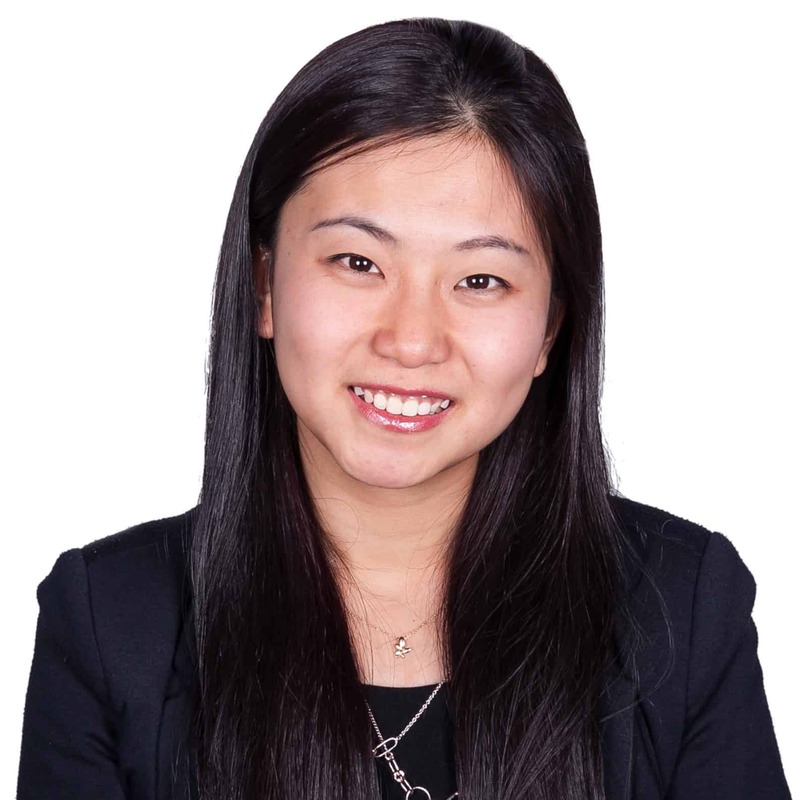 She works with the East Asia Group within the Private Capital Markets team to support investor management activities and deliver exceptional client service throughout the investor compliance, investment fulfillment, and ongoing account management processes. 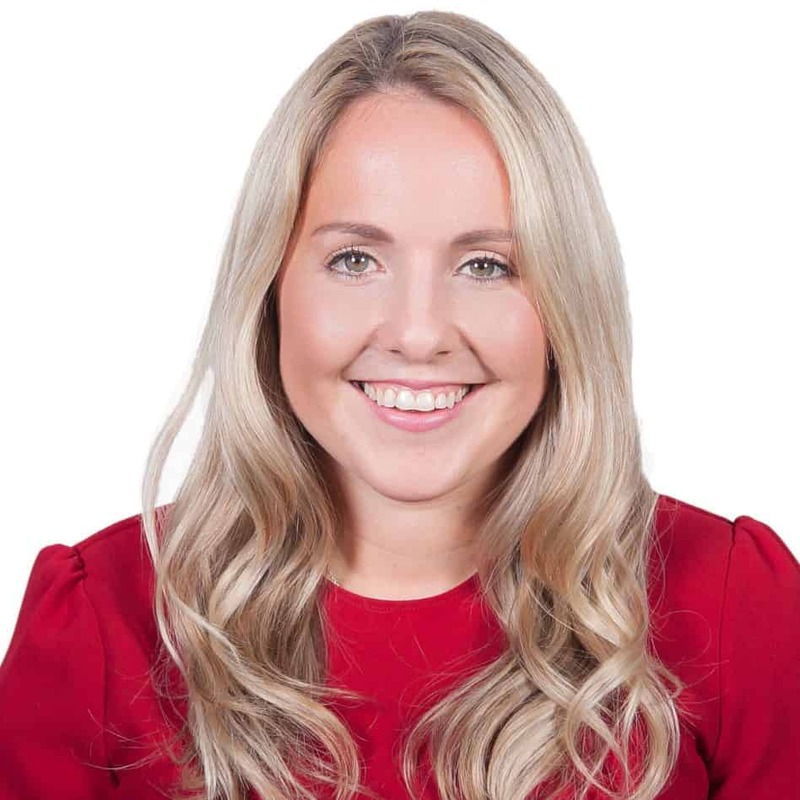 Prior to joining Greybrook, Jessie held various positions at investment management firms in Canada and China, performing a number of project management functions. Jessie holds a Honours Business Administration Degree from Ivey School of Business at Wester University. Jessie is a registered dealing representative of Greybrook Securities Inc., an exempt market dealer (registered in Ontario and certain other provinces), related to Greybrook Realty Partners. Abirah is a Manager in Greybrook’s Investor Services group. 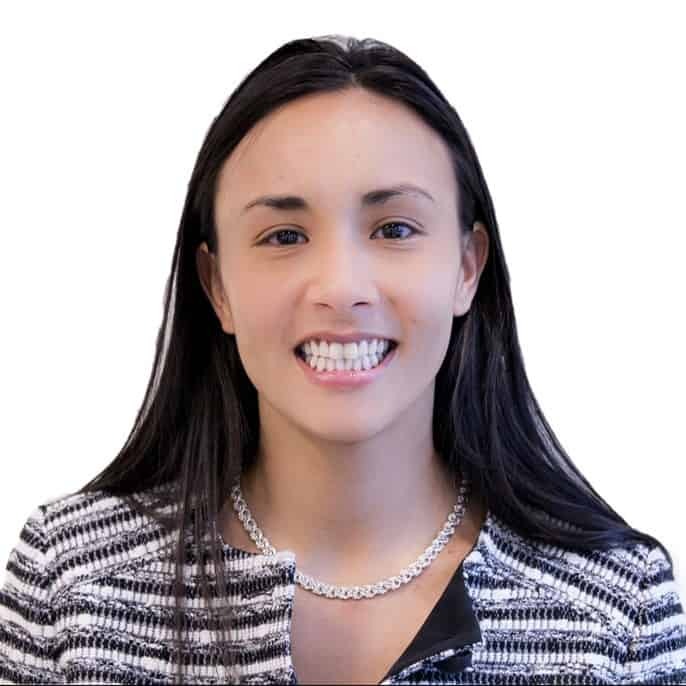 She works with the Private Capital Markets team to support investor management activities and deliver effective client service throughout the investor compliance, investment fulfillment, and ongoing account management processes. Abirah began her career at Greybrook handling successively more senior responsibilities executing operational transactions and client service support responsibilities. Abirah holds a Bachelor of Administrative Studies in Accounting from York University. Abirah is a registered dealing representative of Greybrook Securities Inc., an exempt market dealer (registered in Ontario and certain other provinces), related to Greybrook Realty Partners. Delano is the Chief Technology Officer of Greybrook Capital and its affiliated companies. His responsibilities include the development and implementation of the company’s technology strategy, supervision of system infrastructure and quality assurance processes, and identifying emerging technologies and resources which further the company’s goals. Delano brings over 16 years of experience in the Information Technology and Healthcare fields to this role. Prior to joining Greybrook, Delano served as Vice President of Information Technology for TearLab Corporation, and was responsible for system design, virtualization, networking, and security. 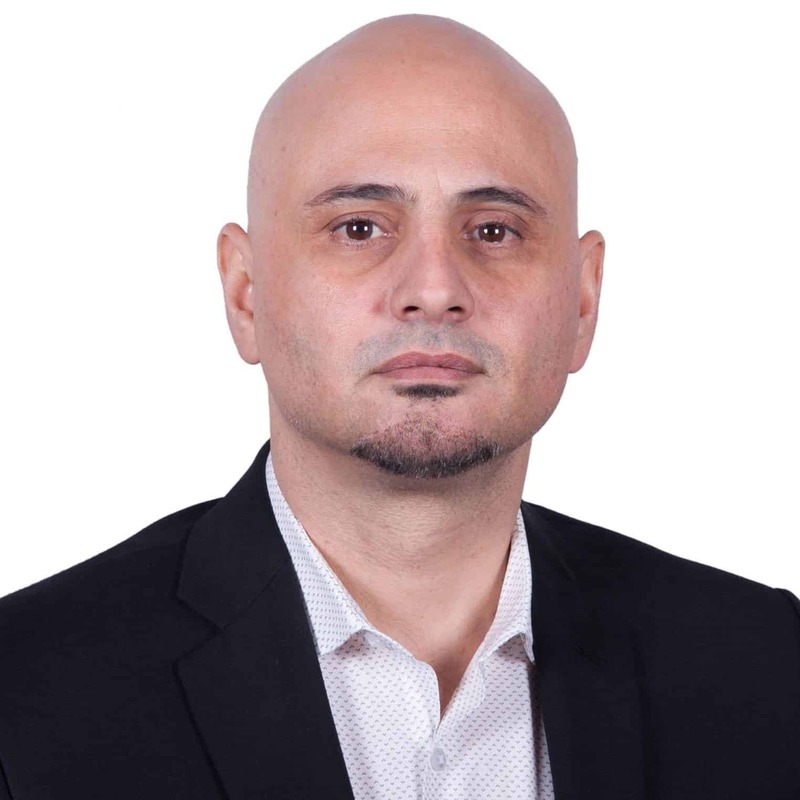 Before TearLab Delano worked for OccuLogix Inc. and later TLC Vision Corporation as Director of Technical Services, being responsible for the entire Corporate IT Infrastructure and managing a team of talented IT professionals. Having worked primarily for Public Healthcare companies both in Canada and US, Delano has focused on system security and compliance with HIPAA, PIPEDA, SOX and other privacy legislations that regulate the Healthcare Industry. Delano holds a Master’s Degree in Biostatistics and Information Technology from the University of Medicine and Pharmacy in Cluj, Romania, and a Bachelor of Science, Pharmacy from the University of Tirana in Albania. Derrick is a Vice President in Greybrook's Private Capital Market group with over 20 years of experience in financial services and private equity. He is responsible for engaging and managing new and existing investor relationships and creating strong real estate development portfolios that align with our client’s investment objectives. 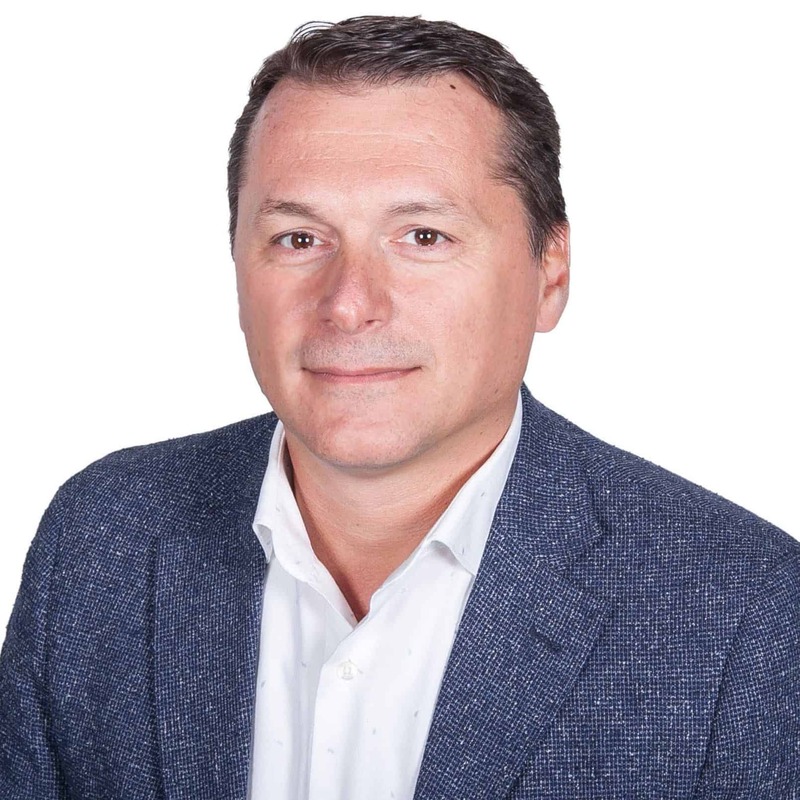 Prior to joining Greybrook, Derrick was responsible for overseeing all day-to-day finance and accounting activities as Chief Financial Officer of Metropia, a Toronto-based real estate developer. He began his career with accounting firm RSM Richter (later acquired by Ernst & Young), before transitioning to a mid-market private equity firm, Imperial Capital Group (ICG), where he led ICG’s Consumer Packaged Goods industry initiative. 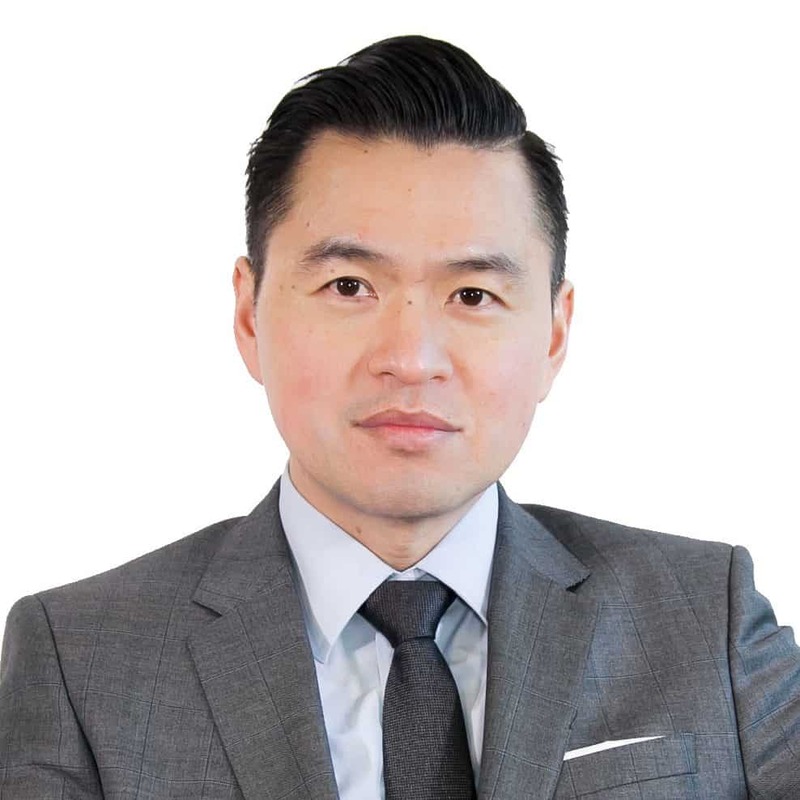 Derrick holds an Honours Bachelor of Business Administration degree from the Schulich School of Business at York University, and is designated as both a Chartered Professional Accountant and Chartered Business Valuator. Derrick is also currently a Board Director at the York School. Derrick is a registered dealing representative of Greybrook Securities Inc., an exempt market dealer (registered in Ontario and certain other provinces), related to Greybrook Realty Partners. Leanne is a Manager in Greybrook’s Investor Services group. She works with the Private Capital Markets team to support investor management activities and deliver exceptional client service throughout the investor compliance, investment fulfillment, and ongoing account management processes. Prior to joining Greybrook, Leanne held a sales position at a leading commercial real estate services company, performing key functions to complete commercial real estate transactions. Leanne holds a Bachelor of Arts Degree from the University of Manitoba. Leanne is a registered dealing representative of Greybrook Securities Inc., an exempt market dealer (registered in Ontario and certain other provinces), related to Greybrook Realty Partners. Dylan is an Associate in Greybrook's Private Capital Markets group with over five years of experience in the financial service industry. He is responsible for supporting sales-related activities associated with some of Greybrook’s key channel partners, including building and managing relationships with investors. 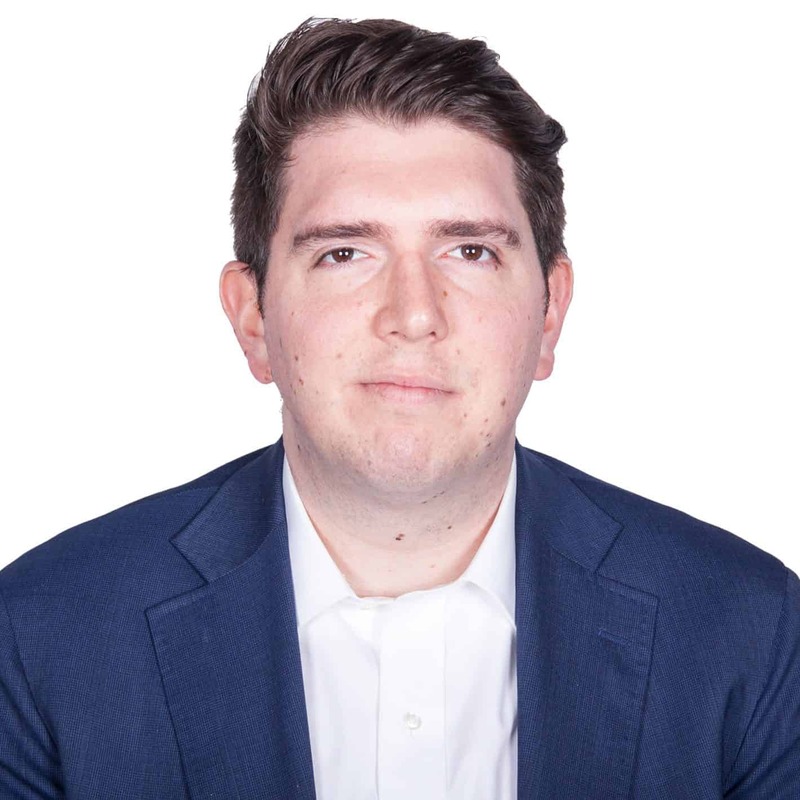 Prior to joining Greybrook, Dylan worked as an analyst at RBC, personally overseeing daily trading volumes of over $500 million for major institutional and corporate clients. Dylan holds a Bachelor of Science in Financial Economics from the University of Maryland. Dylan is a registered dealing representative of Greybrook Securities Inc., an exempt market dealer (registered in Ontario and certain other provinces), related to Greybrook Realty Partners. Maggie is a Vice President in Greybrook's Private Capital Markets group. She is responsible for building and maintaining long-term investor relationships with existing and prospective Greybrook investors within the East Asia Group, including providing effective client service and managing relationships. Maggie brings a wealth of experience dealing with high-net-worth individuals to this role. Prior to joining Greybrook, Maggie served as president of the Toronto Chapter of the Global Federation of Chinese Business Women (GFCBW) and now sits as Deputy Executive Officer of the Grand Chapter of the GFCBW. 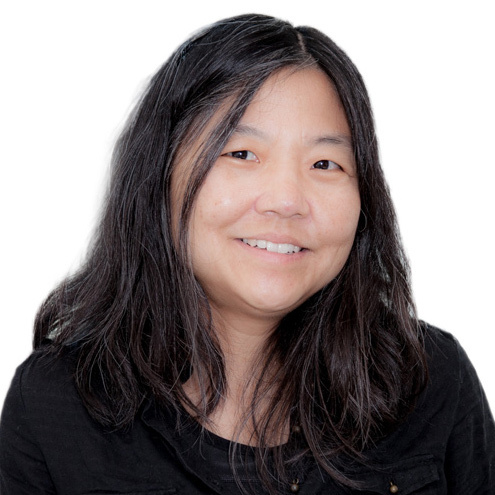 Maggie also serves as President of the Canada-Taiwan Economic & Cultural Development Association and as a Chinese Community Consultant Committee Member for Toronto Police Services. Maggie holds a Bachelor of Medical Science from Yuanpei University of Medical Technology. Maggie is a registered dealing representative of Greybrook Securities Inc., an exempt market dealer (registered in Ontario and certain other provinces), related to Greybrook Realty Partners. Cindy is a Manager in Greybrook’s Investor Services group. 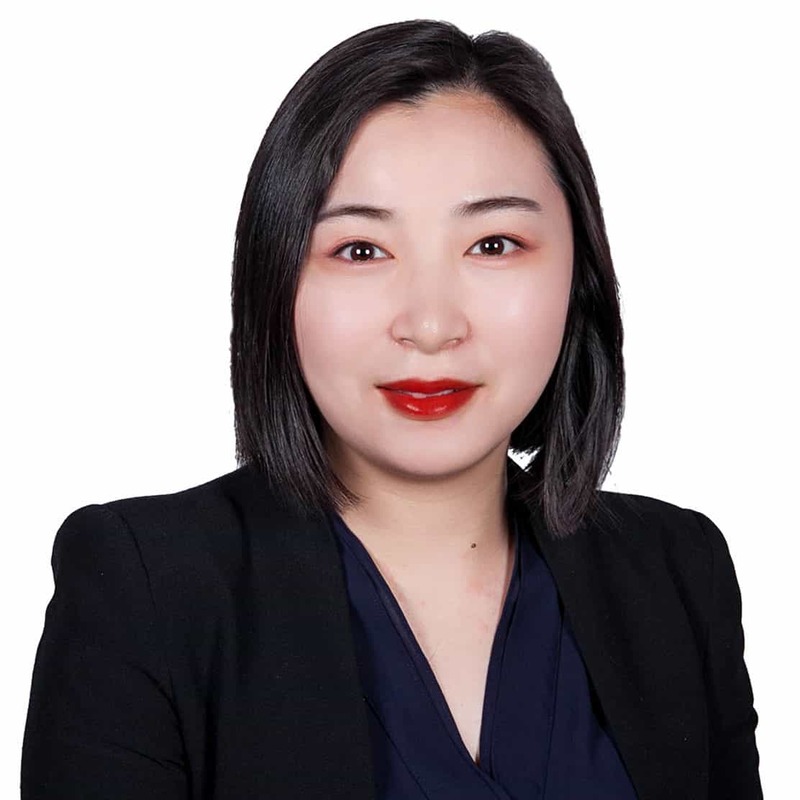 She works with the East Asia Group within the Private Capital Markets team to support investor management activities and deliver exceptional client service throughout the investor compliance, investment fulfillment, and ongoing account management processes. 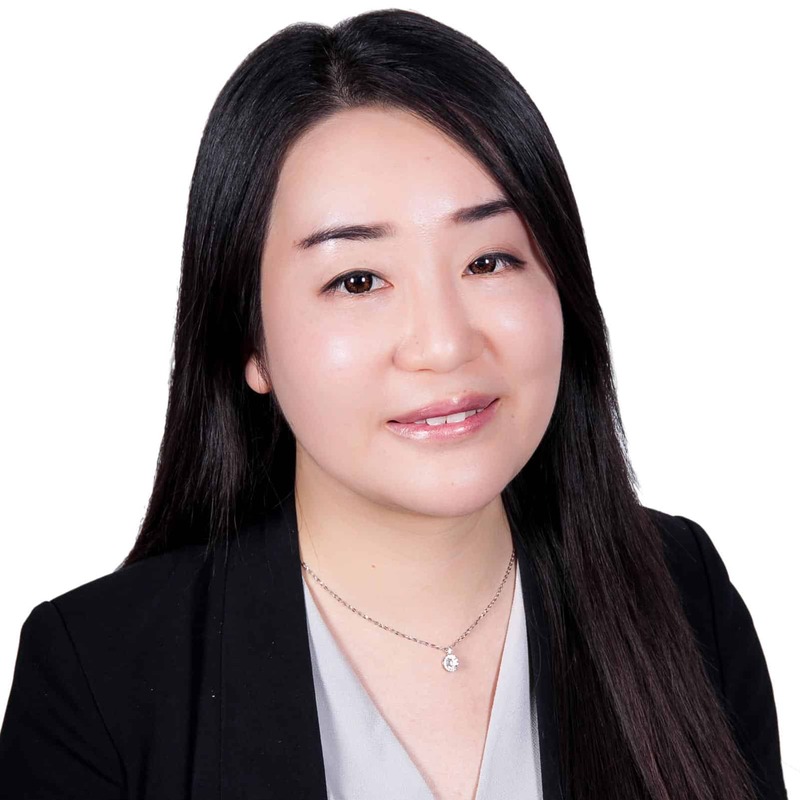 Prior to joining Greybrook, Cindy was a financial analyst at a leading Chinese futures brokerage company, performing key functions related to data mining, and analysis. 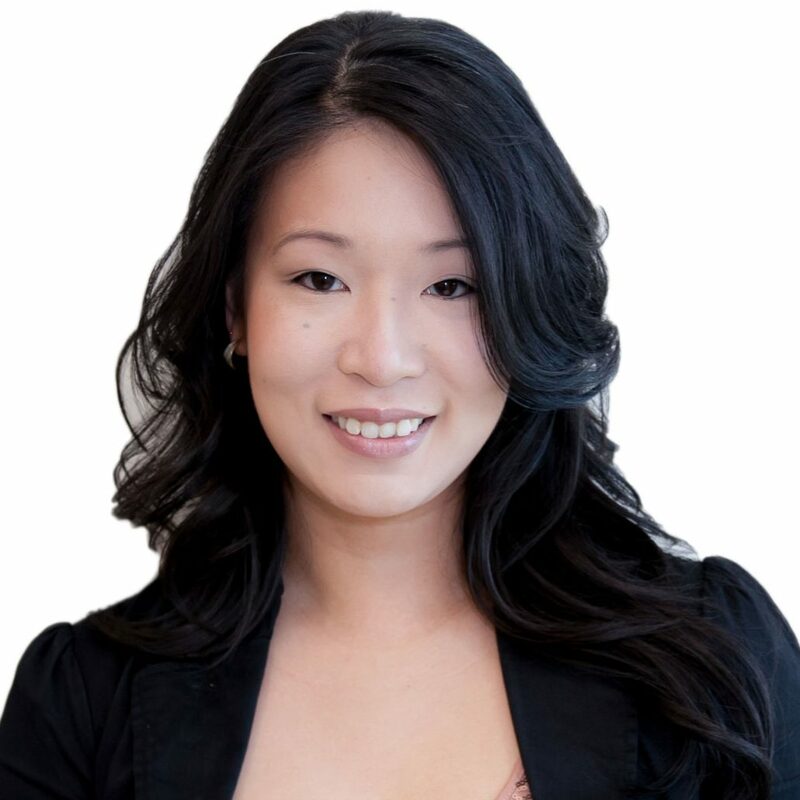 Cindy holds a Master’s Degree in Economics from Renmin University of China, and an MBA in Finance from Wilfred Laurier University. Cindy is a registered dealing representative of Greybrook Securities Inc., an exempt market dealer (registered in Ontario and certain other provinces), related to Greybrook Realty Partners. Cathy is an Associate in Greybrook's Private Capital Markets group. 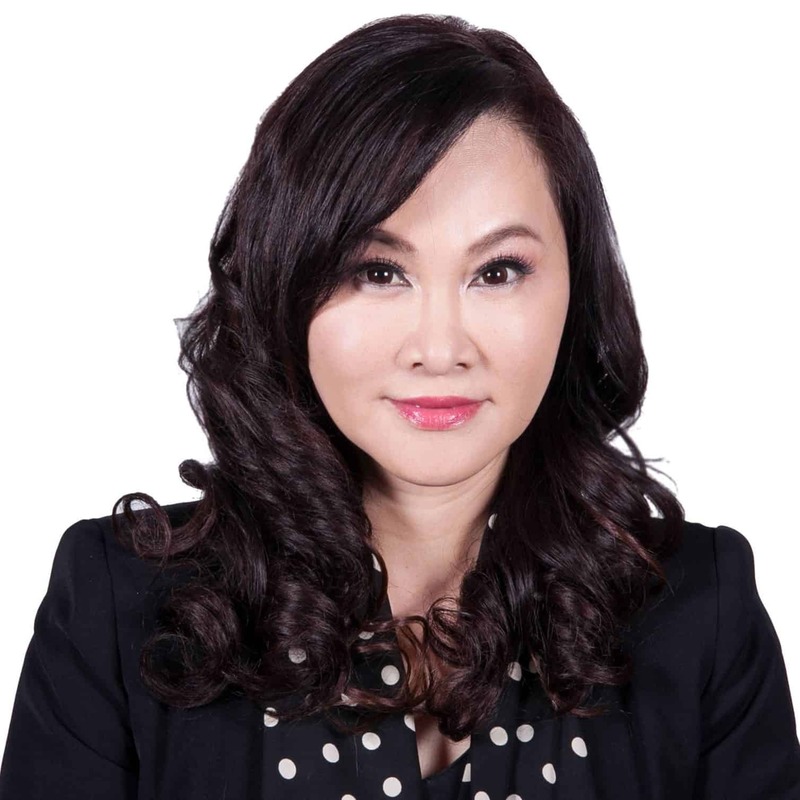 She is responsible for supporting sales and business development related activities within the East Asia Group, including providing effective client service and managing relationships with investors. Prior to joining Greybrook, Cathy worked at CITIC and Citi Bank in Guangzhou, China, performing key roles related to building and maintaining relationships with high-net-worth customers. Cathy holds a Master’s Degree in International Business Law from York University. Cathy is a registered dealing representative of Greybrook Securities Inc., an exempt market dealer (registered in Ontario and certain other provinces), related to Greybrook Realty Partners. Karl is the Chief Financial Officer of Greybrook Realty Partners and its affiliated companies. His responsibilities include internal and external financial reporting, consolidated planning and forecasting, treasury, strategic management, and control. Karl brings over nine years of experience in finance and management to this role. Prior to joining Greybrook, Karl was Director of Finance at Centurion Asset Management Inc., a private asset manager specializing in real estate and other alternative asset classes, where he was responsible for the financial management of numerous funds and investments. Previous to that role, Karl was a Senior Accountant at Collins Barrow Toronto LLP, and LHM Casey McGrath in Dublin. 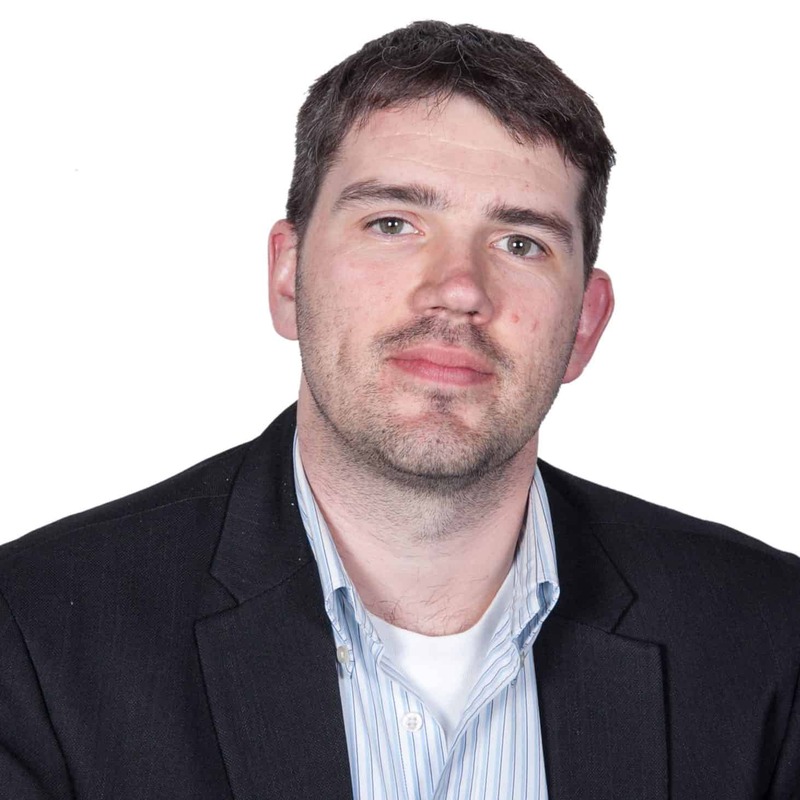 Karl is a Chartered Accountant (Ireland) and a Chartered Professional Accountant and a Chartered Accountant (Ontario). Bruno is Vice President in Greybrook's Private Capital Markets group. He is responsible for engaging and managing new and existing investor relationships within Northern Ontario and creating strong real estate development portfolios that align with our client’s investment objectives. 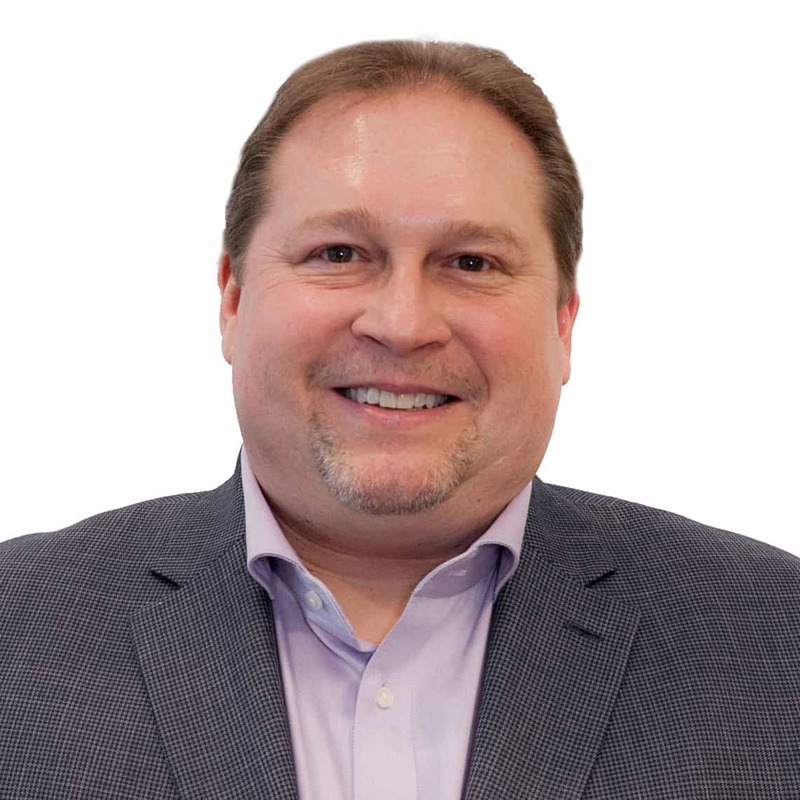 Bruno has over 24 years of experience as a successful pharmaceutical representative within the medical field, winning several President Awards and exceeding corporate expectations. 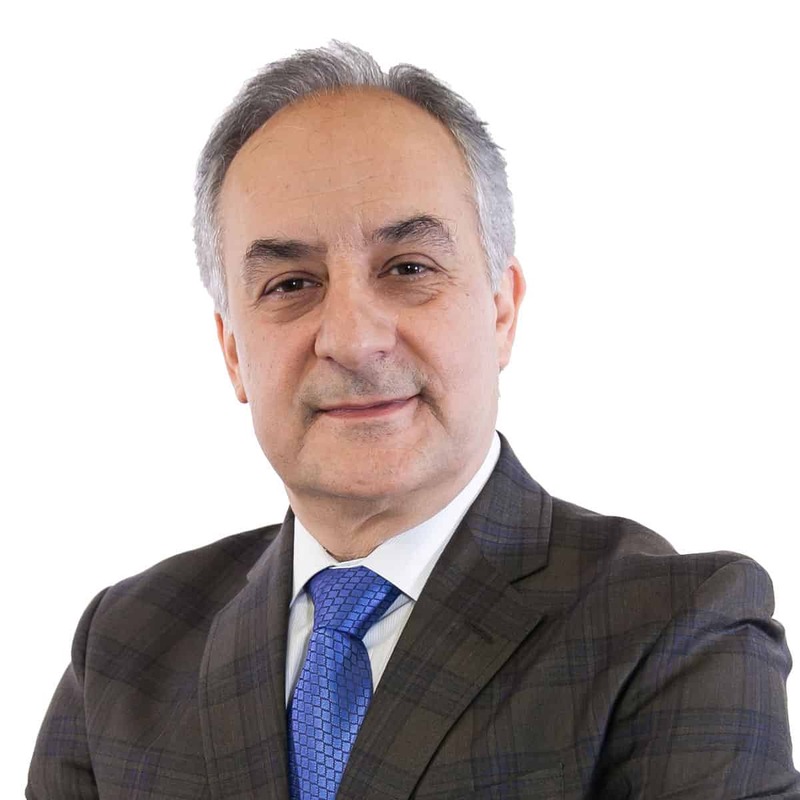 During his career, Bruno developed an extensive real estate portfolio of investments ranging from commercial, residential, guest houses, and multi-unit properties within the Sudbury Region. 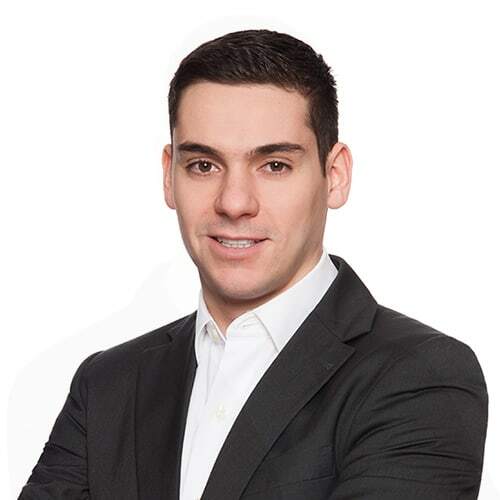 Bruno is a registered dealing representative of Greybrook Securities Inc., an exempt market dealer (registered in Ontario and certain other provinces), related to Greybrook Realty Partners. 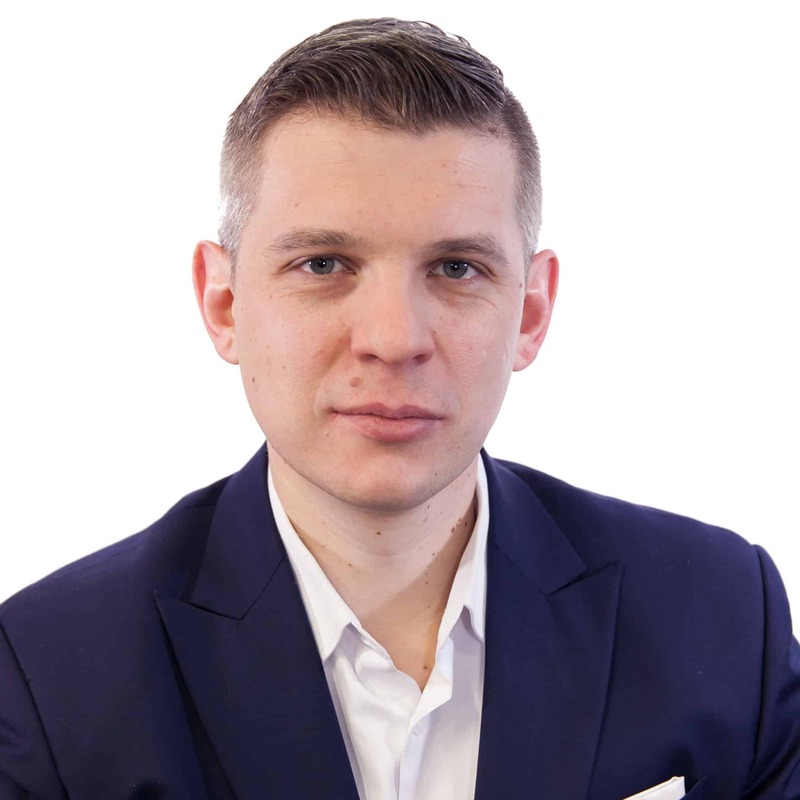 Jakub is a Vice President in Greybrook’s Asset Management group with over 10 years of experience in real estate development and finance. He is responsible for overseeing and co-managing active projects within Greybrook’s real estate investment portfolio. He works directly with project stakeholders to ensure the successful execution of Greybrook’s real estate projects. 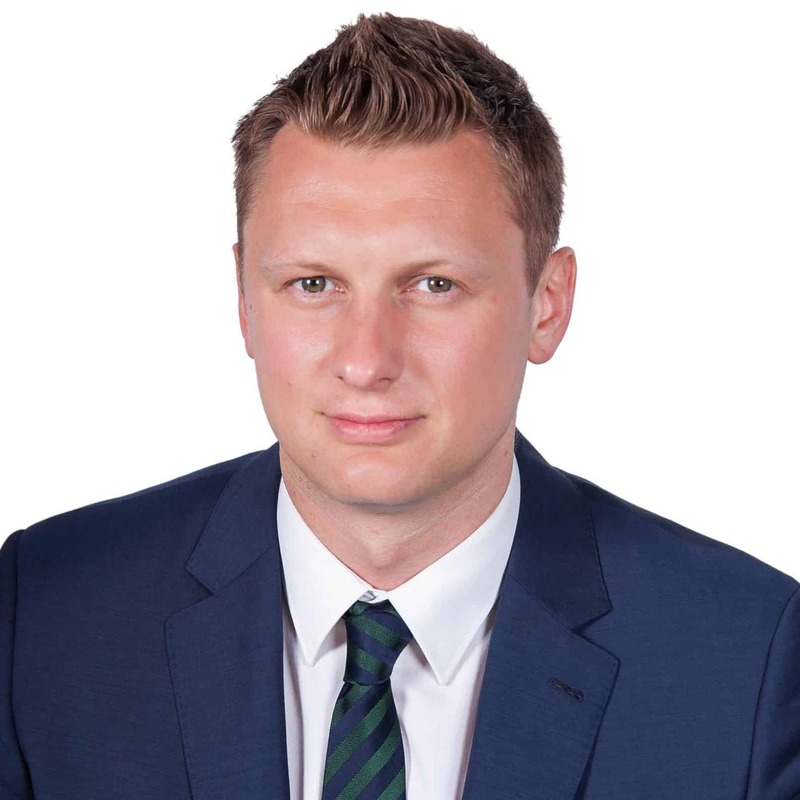 Jakub also supports the team in conducting pre-transaction due diligence, including financial analysis and risk assessment throughout the underwriting process. Prior to joining Greybrook, Jakub was a development manager at Minto, a large Canadian residential development company. 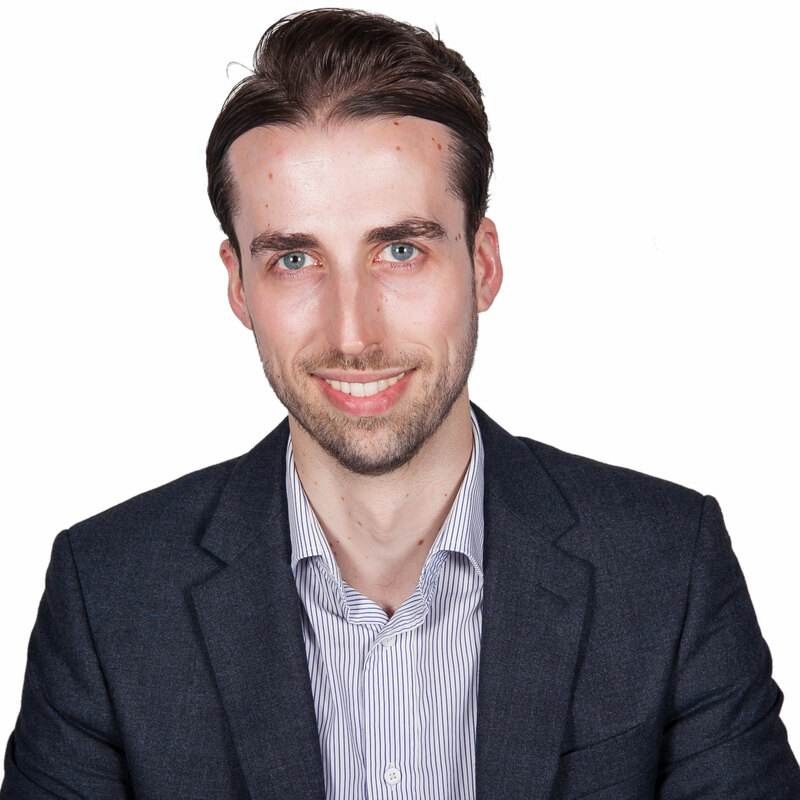 During his time there, Jakub worked closely with senior management, finance, construction, planning, sales, marketing, legal and design to ensure projects were completed on time and budget. 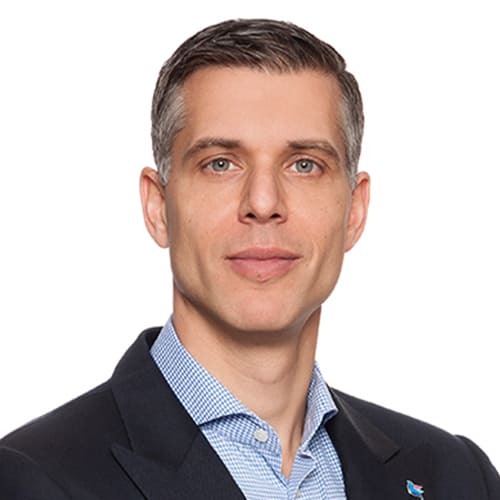 Previously Jakub held positions at Oxford Properties Group, Infrastructure Ontario and Scotiabank’s investment banking group. 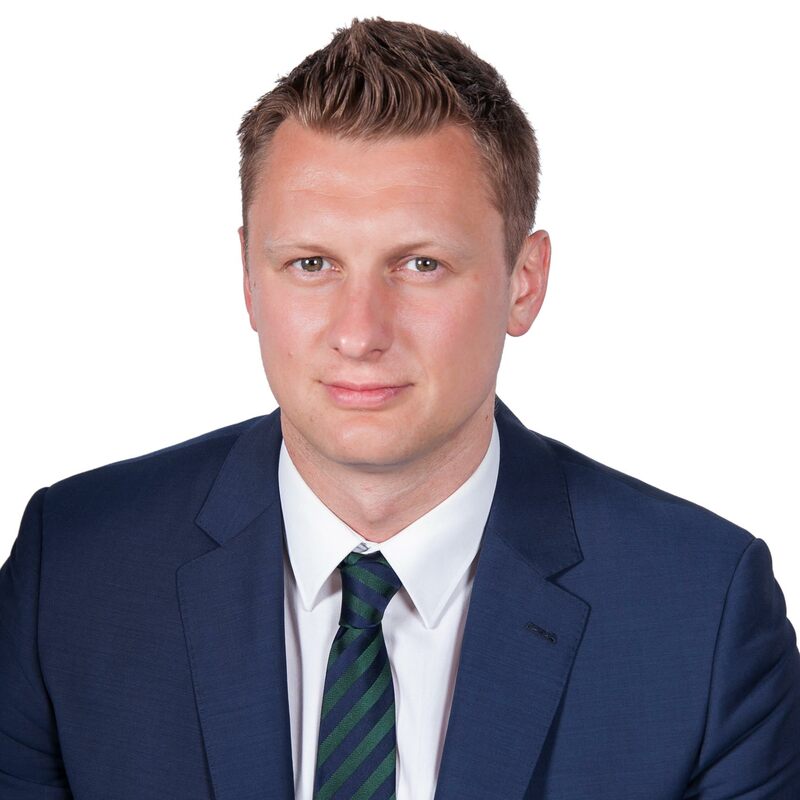 In these roles, Jakub has gained experience in capital markets, corporate mergers and acquisitions, capital raising, as well valuation, acquisition/disposition and asset management of income-producing real estate assets and land holdings. 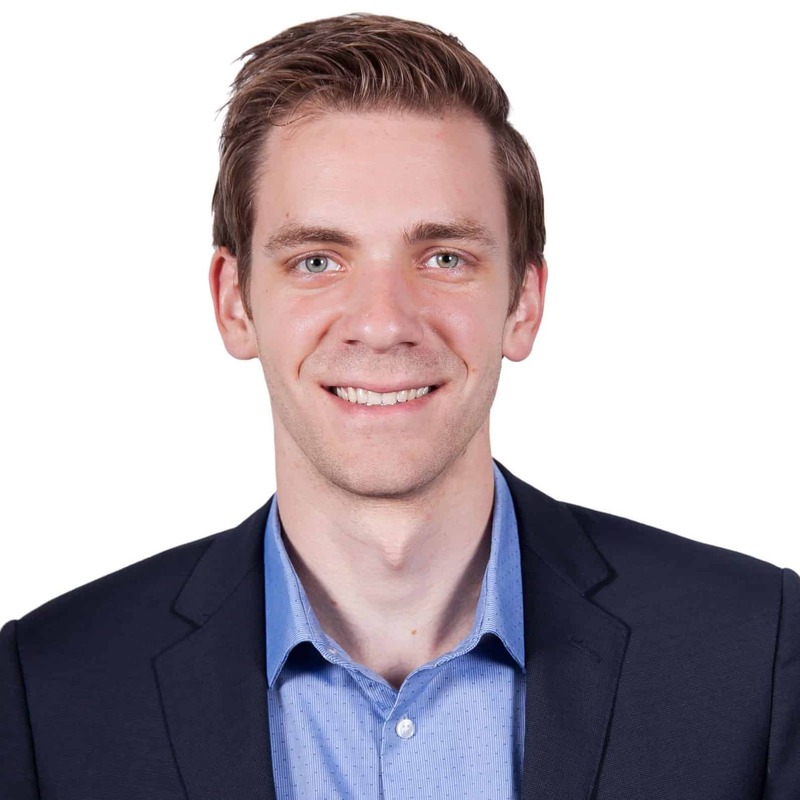 Jakub holds a Master of Science in Real Estate Development from Columbia University, a Master of Business Administration (MBA) from Duke University, a Bachelor of Commerce in Finance from Dalhousie University, and is a CFA® charterholder. 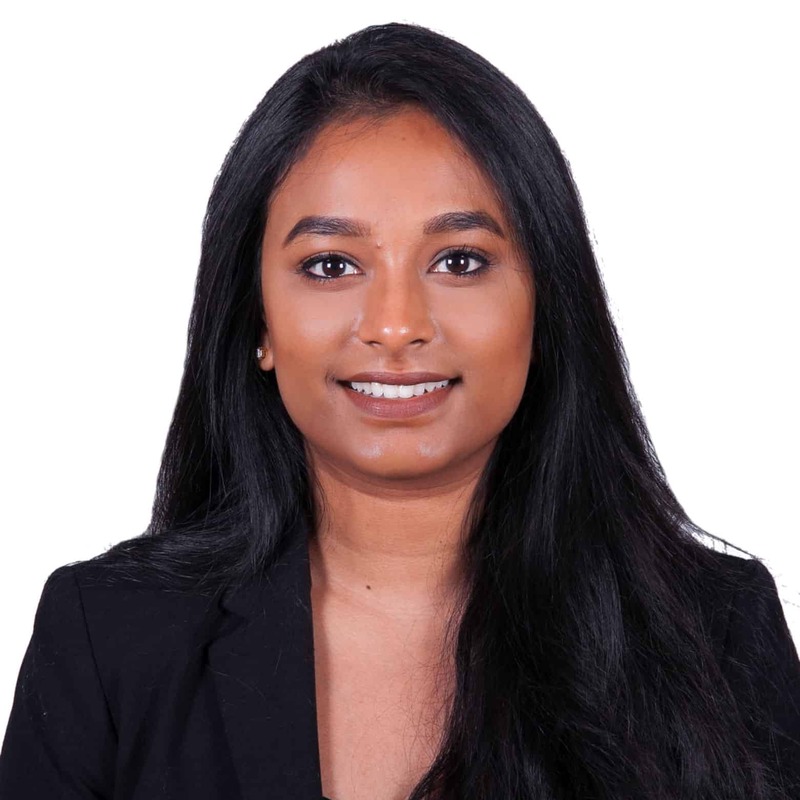 Fatema is Associate Legal Counsel for Greybrook Securities Inc. She assists with legal matters relating to securities offerings, investments, asset management, corporate structuring and finance, compliance, and corporate governance. 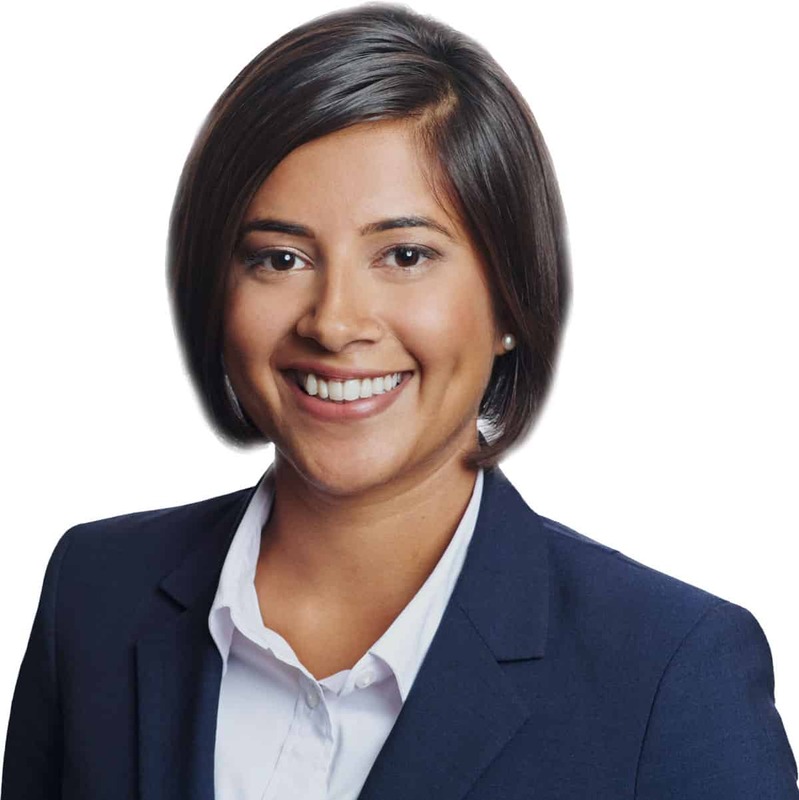 Prior to joining Greybrook, Fatema articled at Gardiner Roberts LLP where she assisted with mergers and acquisitions, private equity, and real estate transactions. Fatema holds a Bachelor of Science (Honours) in Kinesiology and Health Studies from Queen’s University and a Juris Doctor from Osgoode Hall Law School, York University. Meenu is a Manager in Greybrook’s Investor Services group. She works with the Private Capital Markets team to support investor management activities and deliver exceptional client service throughout the investor compliance, investment fulfillment, and ongoing account management processes. Prior to joining Greybrook, Meenu held positions at an independent investment financial services organization, performing a number of functions to improve the portfolio solutions for private wealth advisors. Meenu holds a Bachelor of Arts in Business Administration from APJ College of Fine Arts of India. 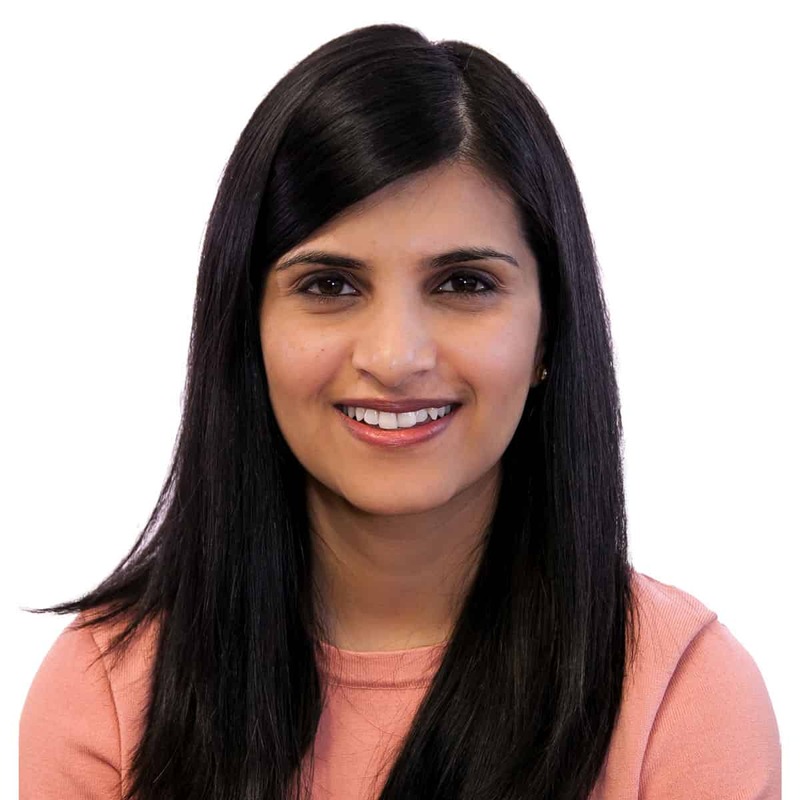 Meenu is a registered dealing representative of Greybrook Securities Inc., an exempt market dealer (registered in Ontario and certain other provinces), related to Greybrook Realty Partners. Ron is a Vice President in Greybrook's Private Capital Markets group. He is responsible for engaging and managing new and existing investor relationships and creating strong real estate development portfolios that align with our client’s investment objectives. Ron has over 24 years of experience in the commercial real estate services industry, specializing in industrial sales and leasing, land development, investment sales, and Design-Build, acting on behalf of buyers, tenants, landlords, developers and investors. Ron’s outstanding market knowledge enables him to provide excellent client service, with a focus on specific regions of the Greater Toronto Area, being Vaughan, North York and Brampton, and Mississauga. Ron is a registered dealing representative of Greybrook Securities Inc., an exempt market dealer (registered in Ontario and certain other provinces), related to Greybrook Realty Partners. Andrew is the Manager of Greybrook’s Funding Department. He is responsible for supervising the transfer and deposit of all client investments and manages Greybrook’s relationship with all third-party custodians. Prior to joining Greybrook, Andrew held positions at an independent wealth management firm supervising the trading activity of the managed account platform and building and maintaining relationships with all third-party money managers. Andrew holds a Financial Planning diploma from George Brown College. Anthony is a Manager in Greybrook’s Investor Services group. 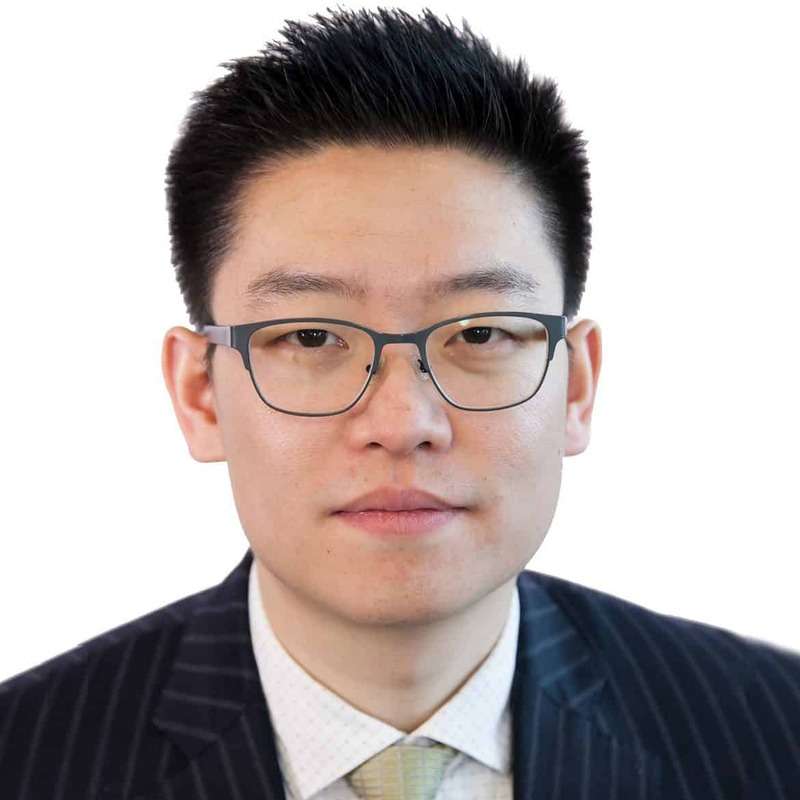 He works with the Private Capital Markets team to support activities and deliver effective client service throughout the investor compliance, investment fulfillment, and ongoing account management processes. Anthony began his career at Greybrook managing the funding of capital raises, and investor processing responsibilities. Anthony attended York University’s Business Research Program. Anthony is a registered dealing representative of Greybrook Securities Inc., an exempt market dealer (registered in Ontario and certain other provinces), related to Greybrook Realty Partners. Frank is a Vice President in Greybrook's Private Capital Markets Group with over seven years of experience in the financial industry. He works with the East Asia Group and is responsible for engaging and managing new and existing investor relationships and creating strong real estate development portfolios that align with our client’s investment objectives. Prior to joining Greybrook, Frank worked in an investment bank in Beijing, China, performing key roles in multiple IPO and M&A cases. Frank holds a Master degree in finance from Lehigh University, and is a CFA® charterholder. Frank is a registered dealing representative of Greybrook Securities Inc., an exempt market dealer (registered in Ontario and certain other provinces), related to Greybrook Realty Partners. Hosup is a Vice President in Greybrook’s Asset Management group with over 10 years of experience in real estate development and finance. He is responsible for overseeing and co-managing active projects within Greybrook’s real estate investment portfolio. He works directly with all project stakeholders to ensure the successful execution of Greybrook’s real estate projects. Hosup also supports the team in conducting all pre-transaction due diligence, including financial analysis and risk assessment throughout the underwriting process. Prior to joining Greybrook, Hosup was a development manager at Minto, a large Canadian residential development company. During his time at Minto, he oversaw the budget and schedule of high-rise and medium-density projects, playing a key role during various stages of development projects. 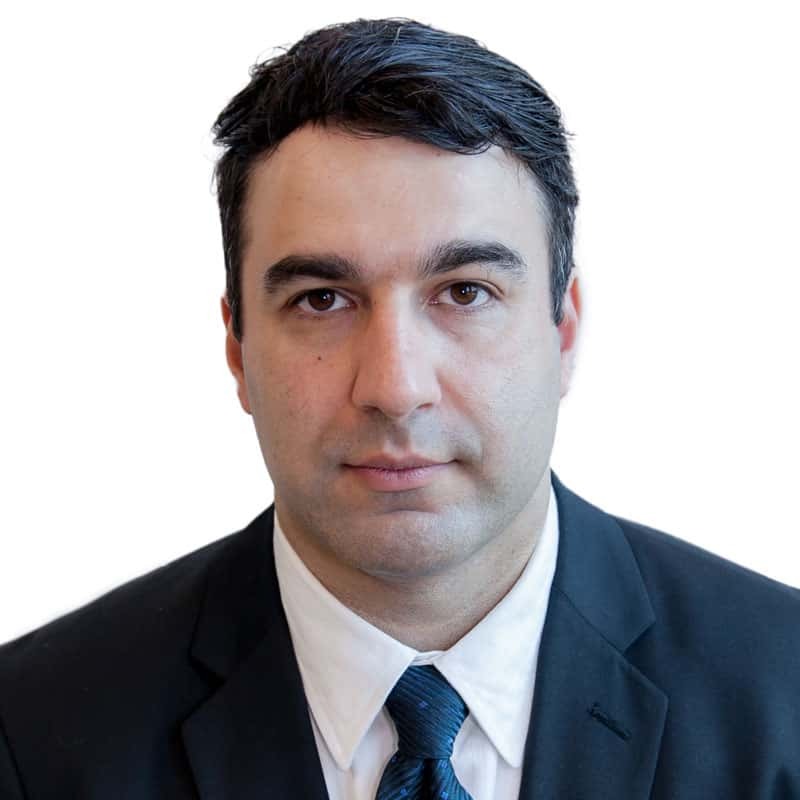 Hosup also brings with him knowledge in investment management and financial analysis from his role as a trader with an investment management company, before pivoting his career into real estate development. As a trader, Hosup managed day-to-day trading activities on stocks and bonds and performed research on investment and trading opportunities. Hosup holds an MBA with a specialization in Real Estate and Infrastructure from Schulich School of Business at York University, and is a CFA® charterholder. Barry is a Senior Associate in Greybrook's Private Capital Markets group. He is responsible for building and managing relationships with investors associated with some of Greybrook’s key channel partners. Barry has over seven years of experience in the investment industry, most recently with TD Asset Management where he worked closely with portfolio managers across the country serving high-net worth individuals, foundations, and institutional clients. 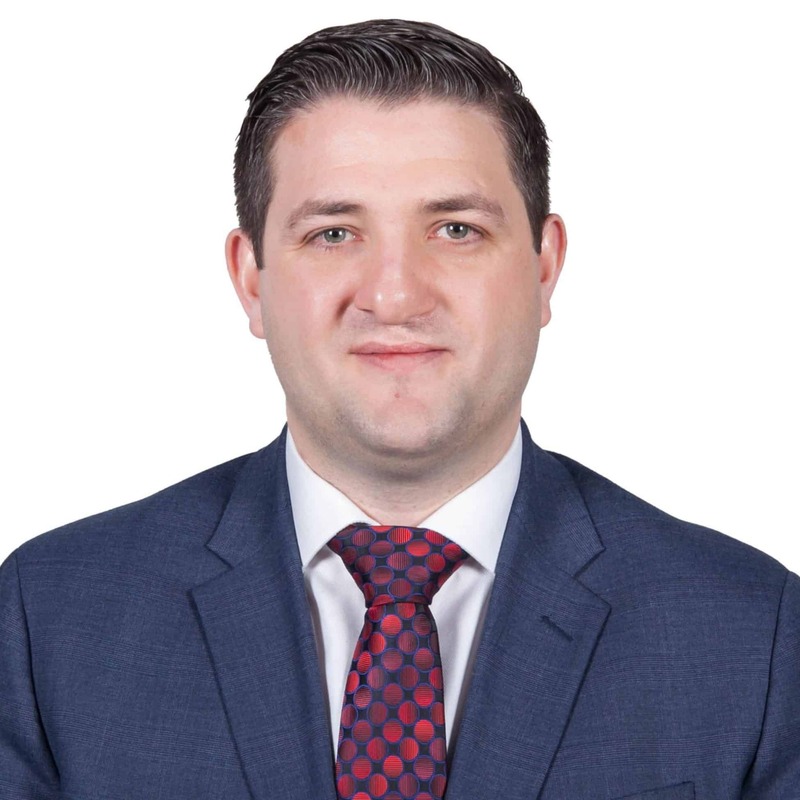 He holds a Bachelor of Management and Organizational Studies degree from the University of Western Ontario, with a specialization in finance and minor in political science. In addition, he is currently pursuing an MBA degree from the University of Toronto. Barry is a registered dealing representative of Greybrook Securities Inc., an exempt market dealer (registered in Ontario and certain other provinces), related to Greybrook Realty Partners. A registered representative of SDDco Brokerage Advisors LLC MEMBER: FINRA/SIPC (“SDDCO-BA”). Winnie is a Director in Greybrook’s Corporate Services group. She is responsible for supervising the investment closing activities from an operational standpoint and for executing business improvement and corporate development initiatives. Prior to joining Greybrook, Winnie held positions with private health care organizations, performing a variety of functions to support patient and research activities. Since joining Greybrook, Winnie has held progressively more senior positions performing a number of investor management and operational execution functions to facilitate the successful onboarding of investors and transaction closings. Winnie holds a Bachelor of Science degree from Queen’s University. 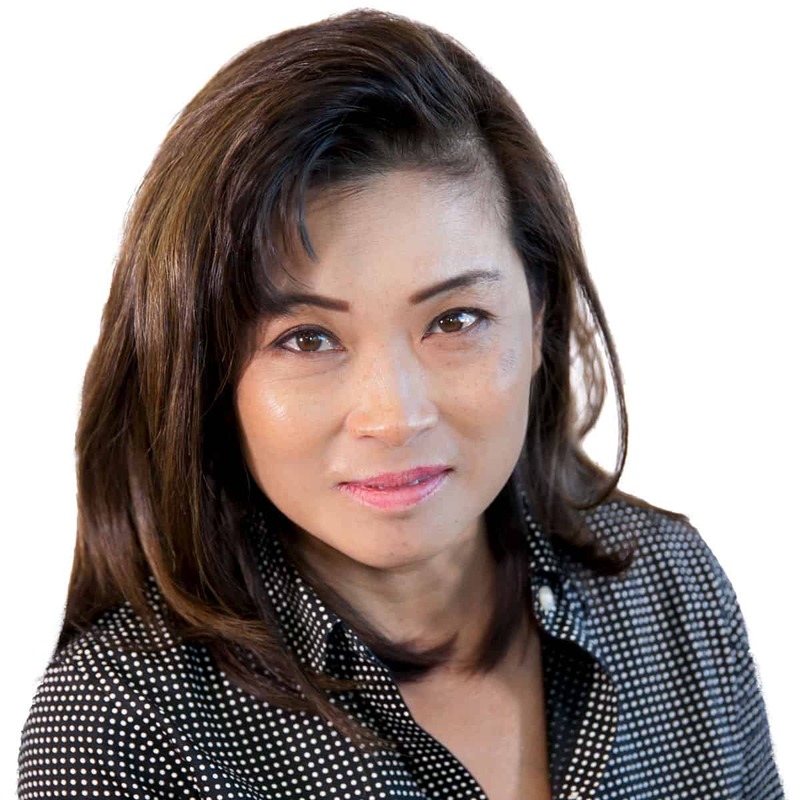 Winnie is a registered dealing representative of Greybrook Securities Inc., an exempt market dealer (registered in Ontario and certain other provinces), related to Greybrook Realty Partners. Jade is the Senior Vice President of Greybrook’s Corporate & Investor Services group. She is responsible for the oversight of all operational and compliance policies and procedures, talent acquisition, and ongoing employee development. Prior to joining Greybrook, Jade held positions at leading wealth management firms. Jade was responsible for daily Branch Manager supervisory duties, with a focus on recruitment, and onboarding new advisory teams, and personnel. Jade holds a Bachelor of Arts degree from Carleton University. Jade is a registered dealing representative of Greybrook Securities Inc., an exempt market dealer (registered in Ontario and certain other provinces), related to Greybrook Realty Partners. Sami works closely with a number of internal groups and external partners to guide Greybrook’s business expansion strategies. 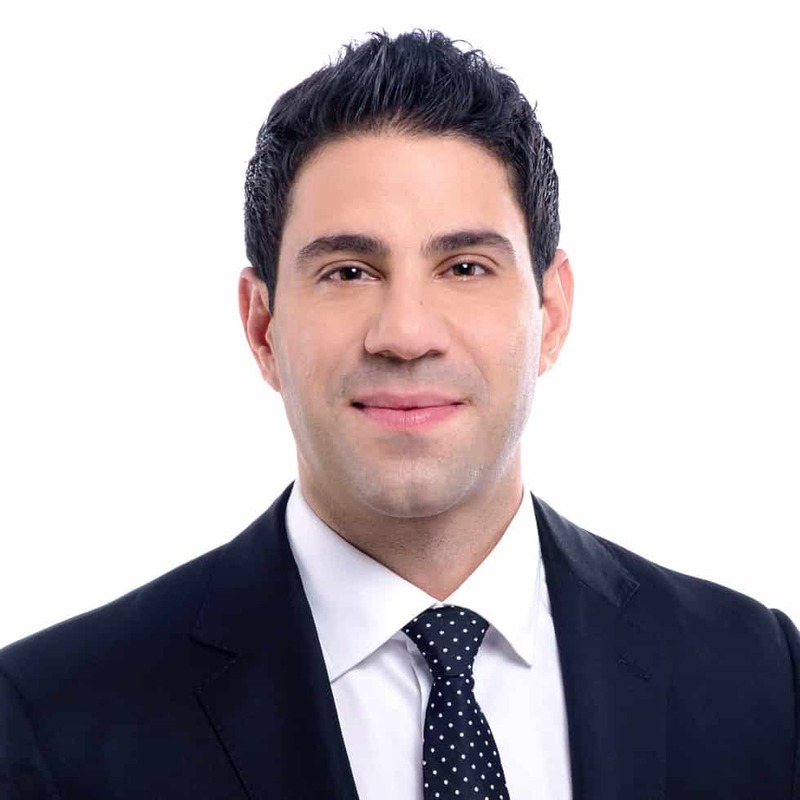 Prior to joining Greybrook, Sami executed mergers and acquisitions advisory mandates as part of the global investment banking group at Scotiabank. Sami has led strategic corporate initiatives in other previous roles, being central to the launch of a London-based corporate finance practice while at Bryan Garnier & Company, a Paris-headquartered investment bank. Sami holds an undergraduate degree in business administration from Wilfrid Laurier University and an advanced degree in political economy from the London School of Economics. 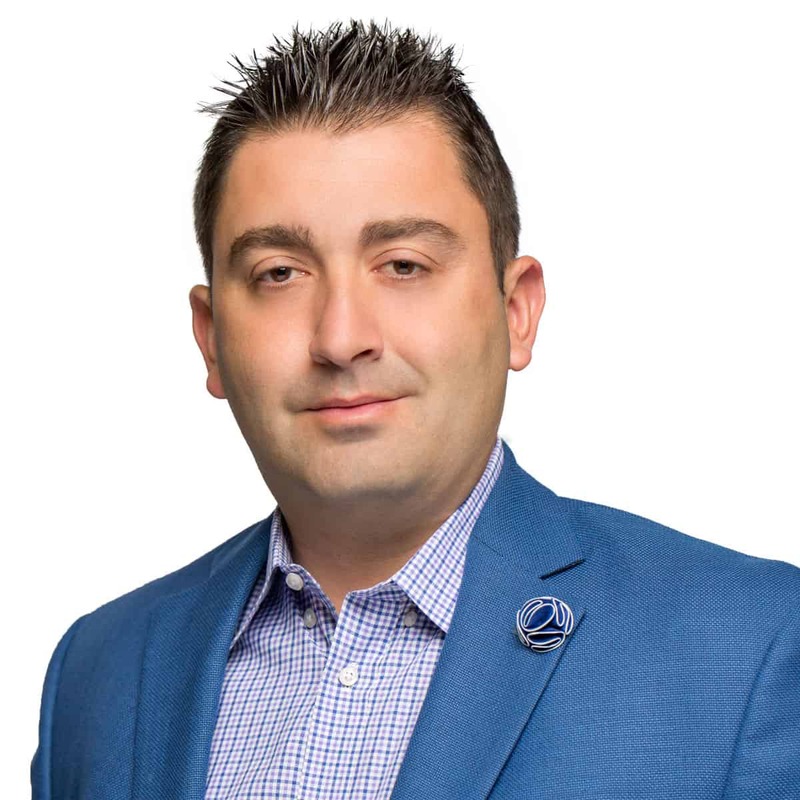 Sami is a registered dealing representative of Greybrook Securities Inc., an exempt market dealer (registered in Ontario and certain other provinces), related to Greybrook Realty Partners. Natasha is the Director of Marketing for Greybrook Realty Partners. She works closely with the executive team to set the firm’s marketing and communication strategy. She is responsible for managing the execution of the firm’s marketing function and liaising with project level stakeholders to ensure the successful sales and marketing launch of Greybrook’s co-managed development projects. Natasha brings over a decade of experience in marketing and real estate development to this role. 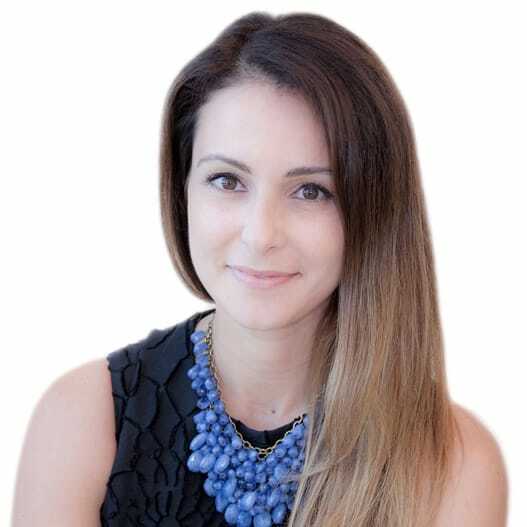 Prior to joining Greybrook, Natasha was the Director of Sales and Marketing with a residential developer where she was a key member in overseeing sales operations and development of marketing and sales strategies for both high and low rise residential projects. Natasha holds an Honorary Bachelor of Science degree from University of Toronto and an MBA from the Rotman School of Management at the University of Toronto. Chris is President and Chief Operating Officer for Greybrook Realty Partners. A results-focused leader with more than 30 years of differentiated business and financial management experience, Chris brings to Greybrook the capital markets acumen of someone who has helped build and turn around some of the most successful and respected firms on Bay Street. He was formerly president and COO of Macquarie Private Wealth, prior to which he was COO of Macquarie Capital Markets. He is a well-respected executive in the financial services industry, having held several executive positions including COO and CFO of Orion Securities Inc., CAO of Cartier Partners, VP Finance Merrill Lynch Canada Inc., SVP and Director of Midland Walwyn Capital Inc. and CFO of Fidelity Investments Canada. 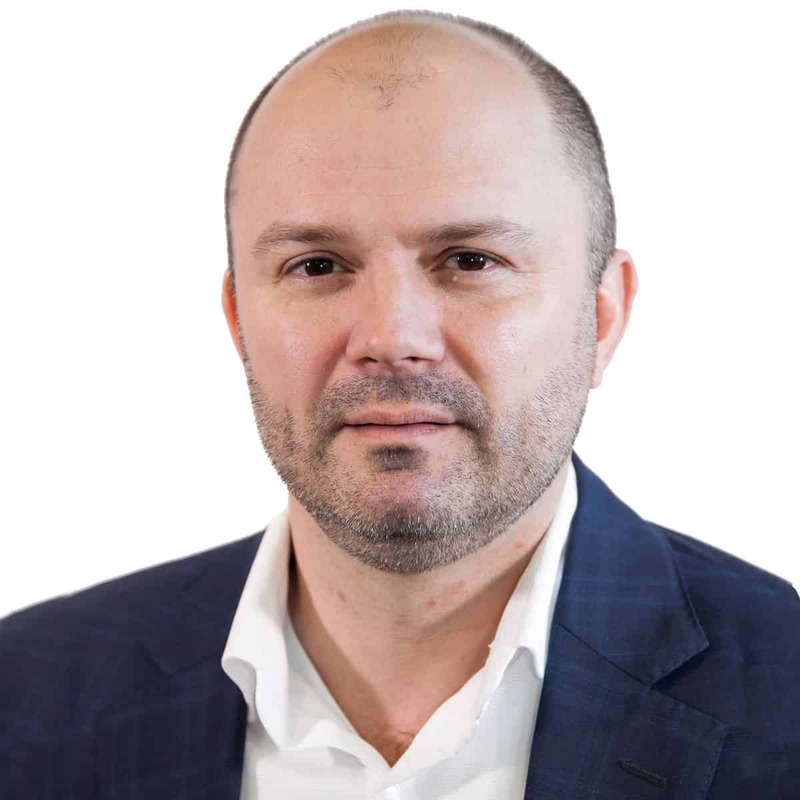 Chris is a Director and Vice Chair of the Private Capital Markets Association of Canada, Chairman of the Board for Paideia (educational not-for-profit), on the Advisory Board of the Canada Korea Business Council, and a former Board member of Carrot Insights (private company) and Axios Mobile Assets (public company). 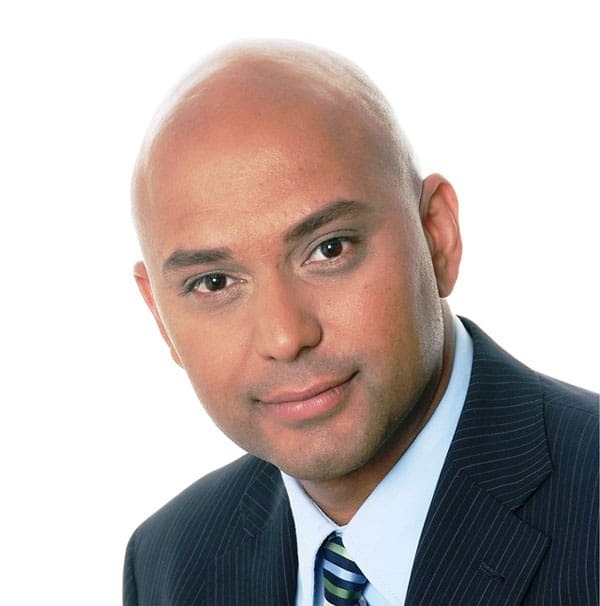 He is a Chartered Accountant by profession and holds a Bachelor of Commerce degree from the University of Toronto. Rav is a former top real estate producer and national brokerage owner with over 28 years experience in all areas of Real Estate. Rav is a licensed Exempt Market Dealing Representative with extensive knowledge of both limited partnerships and REIT vehicles. Today, Rav is a well-recognized television personality hosting more than 250 episodes of “The Everyday Investor with Rav Toor” on Rogers TV, interviewing high profile guests such as Scott McGillivray, Don Campbell, and George Ross among others. His ability to take complex concepts and break them down for easy understanding with incredible passion and energy are his greatest strengths. Brandon is a Vice President in Greybrook Private Capital Markets group. He is responsible for business development and actively supports the management team in organizing acquisitions and facilitating other business transactions. 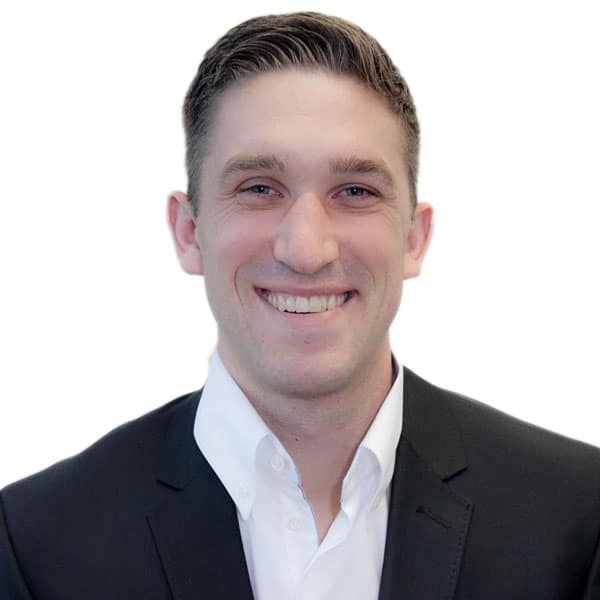 Brandon intuitively brings high energy into the development and management of business projects while also proving to be a strong team player and leader. Prior to his full-time commitment to Greybrook, Brandon completed a 10-year professional hockey career playing for the Dallas Stars, St. Louis Blues, Tampa Bay Lightning, and Arizona Coyotes. While playing in the NHL, he was actively involved in the National Hockey League Players’ Association (NHLPA), serving as a player representative 6 of his 8 years, as well as being on the audit committee, pension committee, Life After Hockey committee and the negotiating committee which was heavily involved in the resolution of the lockout in 2013. Brandon was twice nominated for the Bill Masterson Award (2009 and 2013) which is awarded to the player "who best exemplifies the qualities of perseverance, sportsmanship, and dedication to ice hockey." Additionally, Brandon is heavily involved in the Juvenile Diabetes Research Foundation (JDRF) and has worked closely with local chapters and their respective board members. He helped put together events such as “Crombeen for a Cure” and “Athletes and Causes,” raising significant money for JDRF. Brandon holds a Bachelor of Science in business degree with a concentration in finance from the University of Phoenix. Brandon is a registered dealing representative of Greybrook Securities Inc., an exempt market dealer (registered in Ontario and certain other provinces), related to Greybrook Realty Partners. Tamara is a VP in Greybrook’s Investor Services group. She is responsible for supervising and leading the Investor Services team to ensure a structured and effective investor framework. 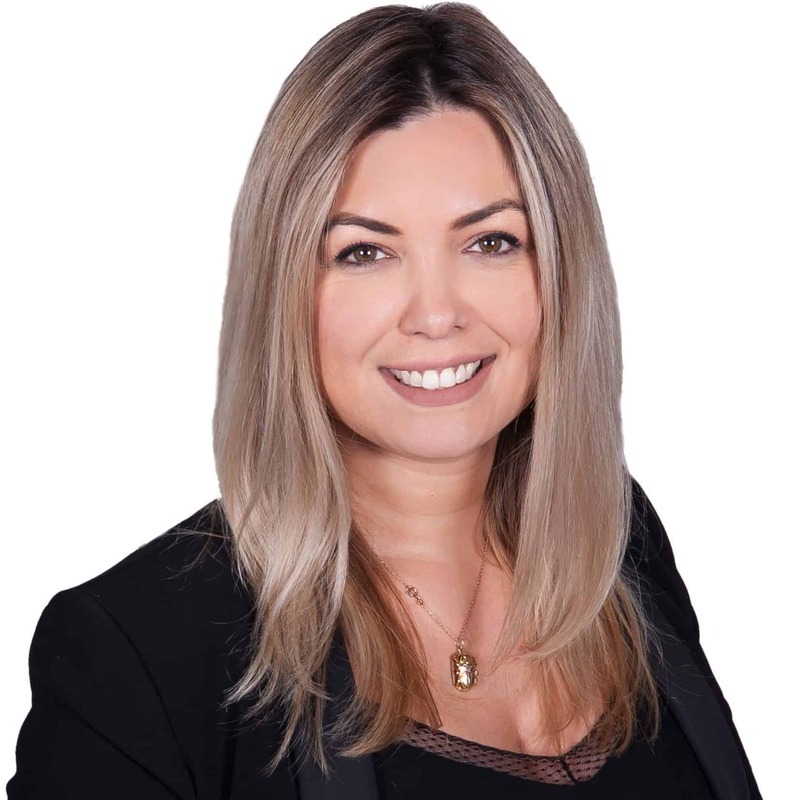 Tamara is also responsible for supporting investor management activities and delivering exceptional client service, and ongoing account management. Prior to joining Greybrook, Tamara was the director of operations for a specialized corporate sports marketing agency, performing key functions to deliver exceptional client service at global events. Since joining Greybrook, Tamara has held progressively more senior positions that have enabled her to develop a strong understanding of the firm’s operational, compliance and client management requirements and responsibilities. Tamara holds a Bachelor of Science degree from McMaster University. Tamara is a registered dealing representative of Greybrook Securities Inc., an exempt market dealer (registered in Ontario and certain other provinces), related to Greybrook Realty Partners. 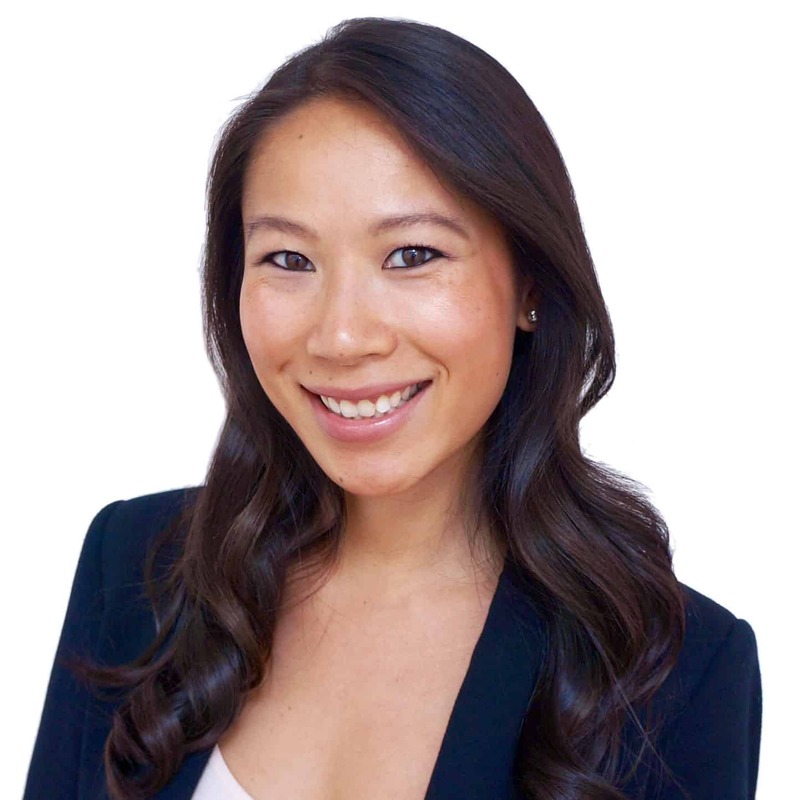 Suh is General Counsel for Greybrook Realty Partners. She is responsible for managing all legal and governance matters relating to Greybrook Capital and its affiliate companies. Suh advises Greybrook on legal issues relating to all aspects of the company’s investments and asset management, corporate structuring and finance, compliance, and corporate governance. Suh came to Greybrook from OccuLogix, Inc. (NASDAQ: TEAR; TSX: TLB), where she had been serving as the General Counsel. She brings to her current role the experience of having been the chief legal advisor, and a member of the senior management team of a dual-listed public company. She has varied and broad corporate and securities law experience which she had gained at Torys LLP before her tenure at OccuLogix. Prior to commencing legal practice, Suh served as Executive Assistant (Chief of Staff) to a (now former) senior federal politician. She holds a Bachelor of Social Sciences from the University of Ottawa and a Bachelor of Laws from the University of Toronto, and she is qualified in Ontario and New York State. Sarah is the Executive Director of Strategy and Corporate Development. She is responsible for directing and supporting the firm’s corporate growth initiatives and technology projects, and overseeing the firm’s marketing, investor communication, talent acquisition and corporate social responsibility functions. Sarah brings over 13 years of experience in management, consulting, marketing strategy and execution to the role. Prior to joining Greybrook, Sarah was the director of strategic initiatives for a cybersecurity and IT consulting firm. Sarah held a number of management positions within the firm and was instrumental in the company’s success and growth as one of the fastest growing Information Communication Technology companies in Canada. She began her career as a strategy consultant with global management consulting firm, Accenture, working on a number of large-scale growth strategy and merger integration projects with the largest banking institutions in North America. She holds a Bachelor of Commerce degree, specialist in finance, from the University of Toronto. Rose is a Senior Associate in Greybrook's Private Capital Markets group. Her responsibilities include building and maintaining long-term investor relationships with existing and prospective Greybrook investor and delivering full-service Investor Services support for clients. Prior to this role, Rose was the VP of Operations for Greybrook overseeing the successful execution of Investor Services and day-to-day operations. Rose has over 18 years of experience in operations and marketing, with a proven track record of accelerating revenues, reducing operational costs, and providing first-rate client service that exceeds expectations. She holds a Bachelor of Commerce from the University of Toronto. Kevin is a Vice President in Greybrook's Private Capital Markets group. He is responsible for engaging and managing new and existing investor relationships and creating strong real estate development portfolios that align with our client’s investment objectives. Kevin has over 20 years of experience in the financial services industry as a long-time investment advisor managing portfolios for high-net-worth clients. He has held several senior roles in the investment industry and established a strong network of accredited investors who are looking for high-quality, higher returns that private equity can provide. Kevin is a registered dealing representative of Greybrook Securities Inc., an exempt market dealer (registered in Ontario and certain other provinces), related to Greybrook Realty Partners. 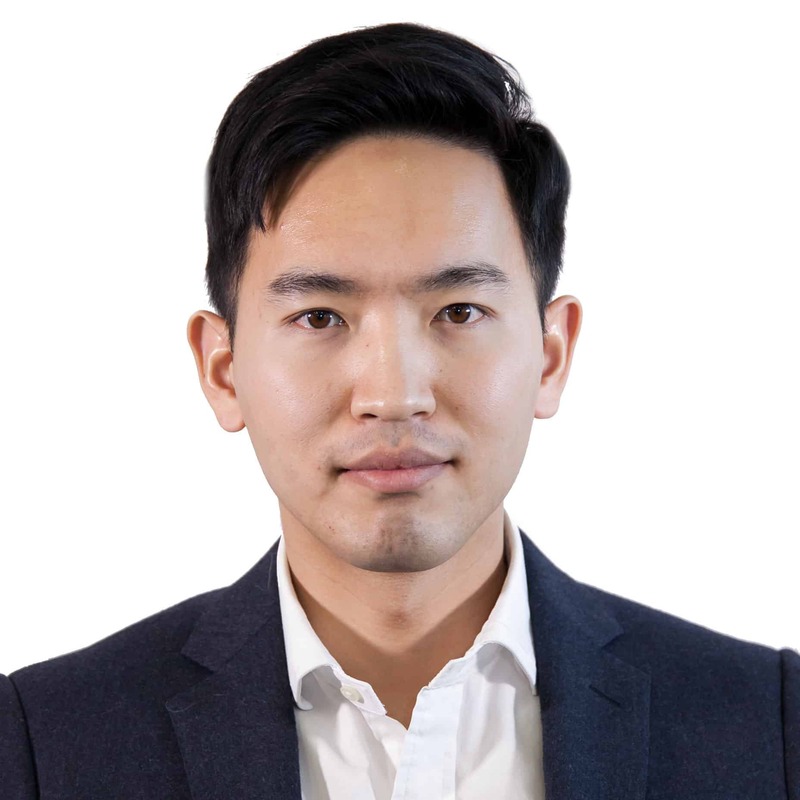 Joshua is an Executive Director in Greybrook’s Private Capital Markets group and leads the company’s East Asia group. He is responsible for the firm’s business development and capital raising activities within the East Asia group, as well as managing some of Greybrook’s local investor relationships. His years of experience in real estate development and finance enable him to provide investors with a thorough understanding of Greybrook’s investment strategy and vehicles, and the overall real estate investment market. Prior to joining Greybrook, Joshua worked in commercial real estate and as a director with a property development firm in New Zealand. During his time at the firm, he performed a key role in deal origination, development financing, and participated in the ongoing management of the company’s residential and commercial development projects. Joshua holds a Bachelor of Science in biomedical science and an MBA from the University of Auckland, New Zealand. Joshua is a registered dealing representative of Greybrook Securities Inc., an exempt market dealer (registered in Ontario and certain other provinces), related to Greybrook Realty Partners. Jared is the Executive Director of Greybrook’s Asset Management group and brings more than 15 years of experience in real estate finance and development to the role. He is responsible for overseeing the management of all active investments within Greybrook’s real estate investment portfolio and working with the firm’s in-house legal team and senior management to structure all investment opportunities. Jared works closely with all of the firm’s developer partners and project stakeholders throughout the entire development lifecycle to ensure the successful execution of each project. He leads his team in conducting pre-transaction due diligence, including financial analysis and risk assessments throughout the underwriting process. 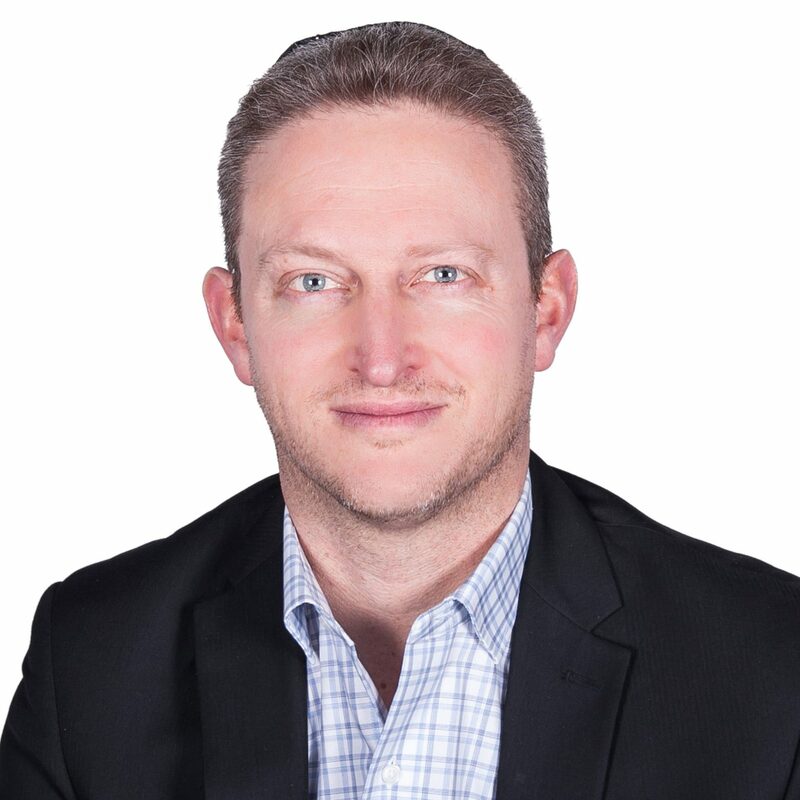 Prior to joining the Greybrook, Jared oversaw the finance and accounting functions for a Toronto-based residential developer where he had a proven track record of success during a period of exponential growth. Previously, he held a consulting position with PricewaterhouseCoopers' Corporate Advisory and Restructuring group where he acquired extensive experience in corporate finance. 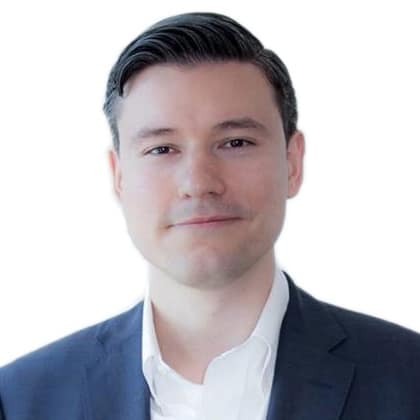 In this role, Jared specialized in the formulation and implementation of reorganization strategies for troubled Canadian companies, helping secure creditors and other key economic stakeholders to maximize realizations from non-performing assets. Jared holds an Honors Bachelor of Business Administration with a specialization in finance from York University’s Schulich School of Business and is a CFA® charterholder. D’Arcy is a Director in Greybrook’s Private Capital Markets group with over 8 years of management and private equity experience. He is a highly experienced advisor personally managing many of Greybrook’s longest standing relationships by providing real estate development advisory services for many wealthy Canadian and international individuals and families. He works closely with clients to collaboratively create investment portfolios based on unique needs, suitability and investment priorities. D’Arcy also leads a team responsible for developing and managing Greybrook’s strategic partnerships. Prior to Greybrook, D'Arcy worked in investment banking at the Bank of Montréal, and co-founded and monetized a successful sports recruiting and travel company. D’Arcy holds a degree in financial economics from Bowling Green State University and an MBA from London Business School. D'Arcy is a registered dealing representative of Greybrook Securities Inc., an exempt market dealer (registered in Ontario and certain other provinces), related to Greybrook Realty Partners. Christopher is General Counsel for Greybrook Securities Inc. He is responsible for all of Greybrook Securities Inc.’s legal affairs and regulatory compliance. Christopher also advises Greybrook Capital’s management team concerning a broad range of legal matters, including securities offerings, investment and asset management, corporate structuring and finance, compliance and corporate governance. 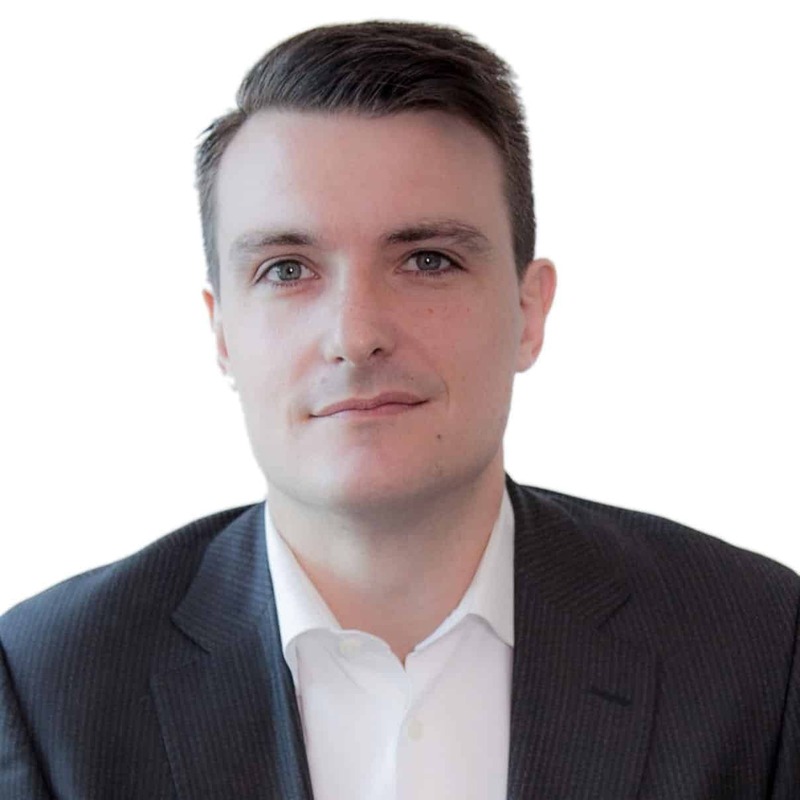 Prior to joining Greybrook Securities Inc., Christopher was an associate in the Securities Group at Blake, Cassels & Graydon LLP. During his time at Blake, Cassels & Graydon LLP, Christopher practiced securities and corporate law at the firm’s Toronto and New York offices. 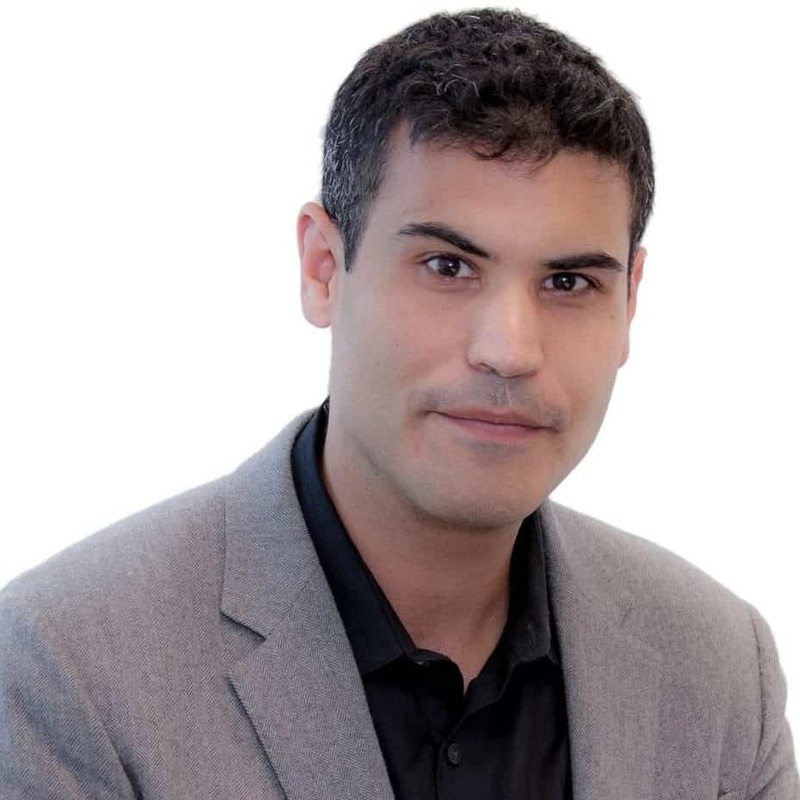 Christopher received a JD and a MBA from, respectively, Osgoode Hall Law School and the Schulich School of Business, and a BCom, with distinction, from the University of Toronto. 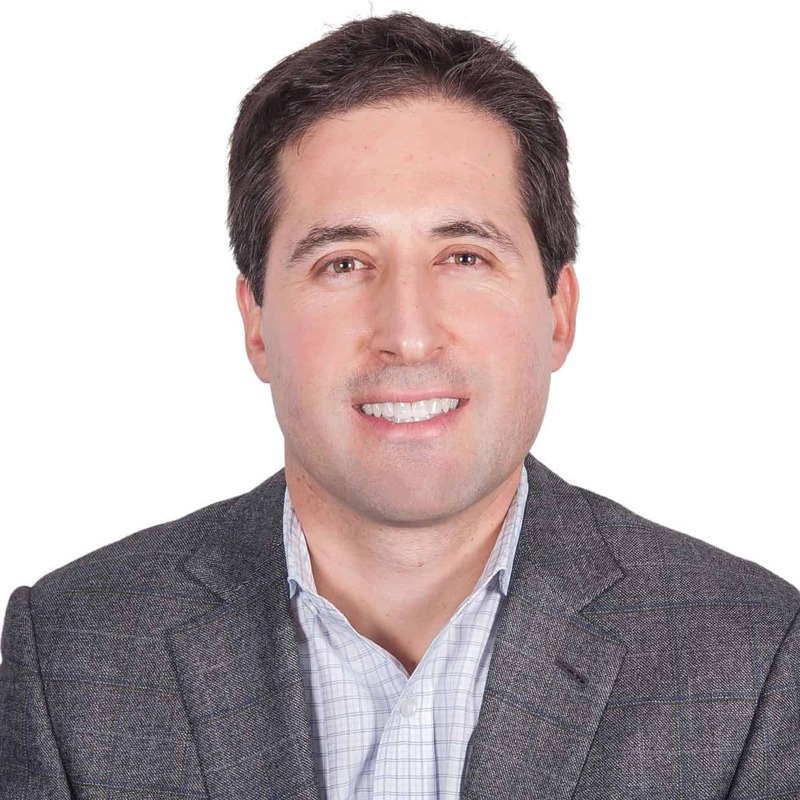 Alex is Executive Director of Greybrook's Private Capital Markets group. He works closely with the management team, investment banking group, and both internal and external counsel throughout all aspects of deal origination and underwriting. His intimate knowledge of Greybrook underwriting processes, as well as securities law and compliance, ensures the smooth intake of new investment opportunities. Additionally, Alex is responsible for investor reporting and oversees the administration and management of many of the firm’s strategic partnerships and existing investor relationships. Alex has held various positions of increasing responsibility with Greybrook since joining the firm in 2007. 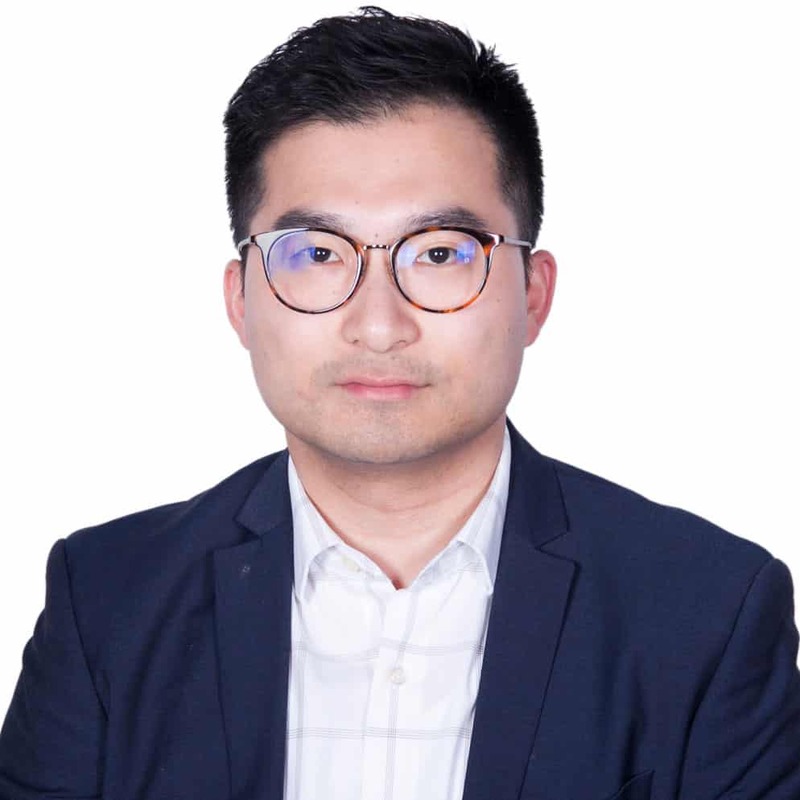 He has established strong expertise in land development, private market company valuations, acquisitions and the structuring of complex investment structures. Additionally, he has been integral to the completion of over $300M in equity financing during his tenure. Alex holds a Bachelor of Commerce from University of Toronto with a specialization in finance. Alex is a registered dealing representative of Greybrook Securities Inc., an exempt market dealer (registered in Ontario and certain other provinces), related to Greybrook Realty Partners. Sasha is an experienced private equity professional. As the CEO of Greybrook Securities, he directs Greybrook’s capital markets activities across the firm’s focus areas in real estate and healthcare. Sasha has completed over 60 acquisitions throughout the Greybrook portfolio and has been instrumental in expanding Greybrook’s roster of high net worth and institutional clients globally. Operationally, Sasha co-manages Greybrook Realty Partners’ business across both its Asset Management and Capital Markets verticals. His deep understanding of both operations and the capital markets has proven to be invaluable in leading the firm’s evaluation of prospective investments. Sasha serves as the co-chair of Greybrook’s advisory committee for all active limited partnerships, and the co-chair of Greybrook’s investment committee, which to date has managed $1 billion of investor equity, deployed across over 70 real estate development projects with an estimated completion value of more than $15 billion. As the former CEO of Greybrook Health, Sasha played a critical role in the launch of Greenbrook TMS and Greybrook’s prior portfolio acquisitions of MacuHealth and Bruder Health Care. He currently serves on the board of Greenbrook TMS, as well as on the boards of a number of Greybrook affiliated companies and the Blu Genes Foundation, a charity dedicated to funding the advancement of the science of gene therapy for the treatment of various genetic disorders. He is co-chair of Greybrook Realty’s Investment Committee and leads the firm’s deal origination and asset management practice. In his capacity as CEO, he has been involved in the acquisition of over 70 developments representing 35 million square feet of density and an aggregate completion value of over $15 billion. Peter was recognized in 2018 as one of Canada’s Top 40 Under 40®, a coveted award for young business leaders celebrating the exceptional achievements of 40 outstanding Canadian leaders and innovators under the age of 40.